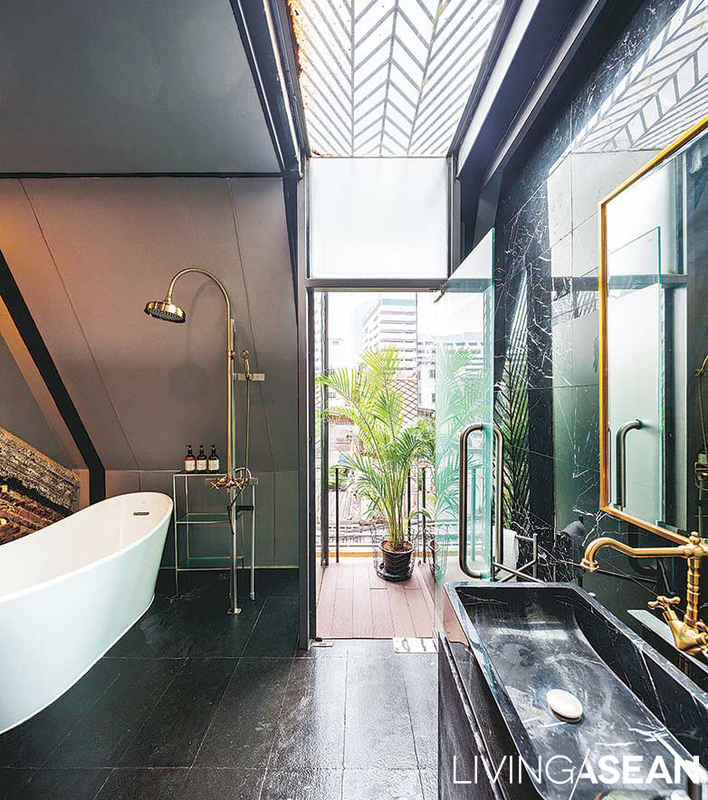 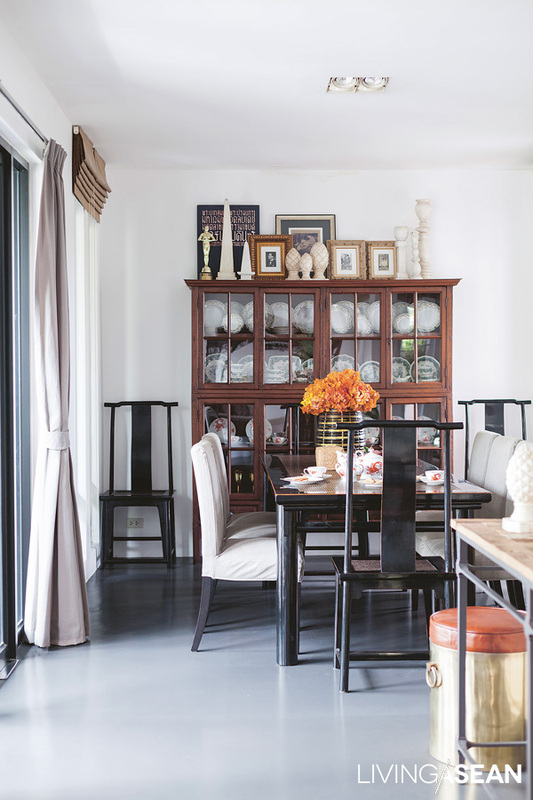 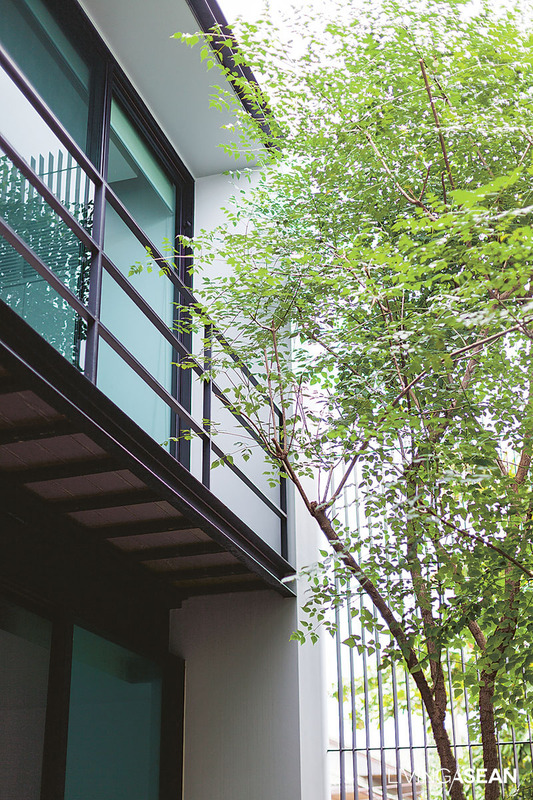 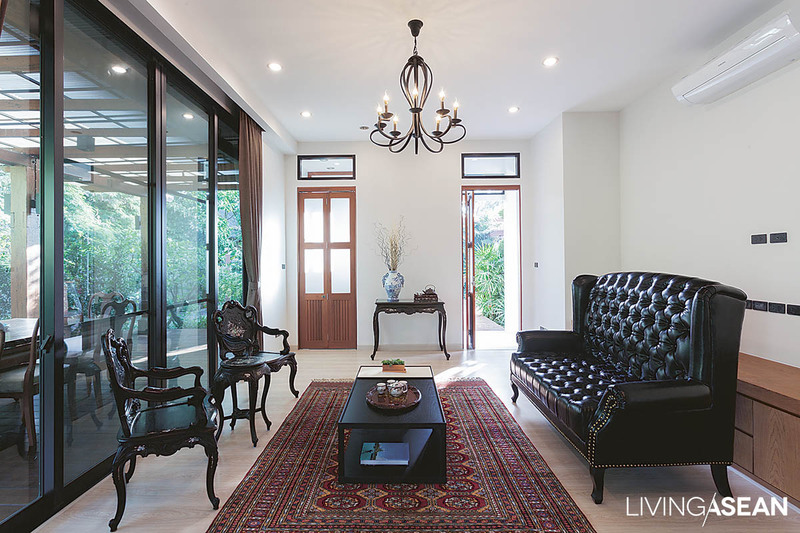 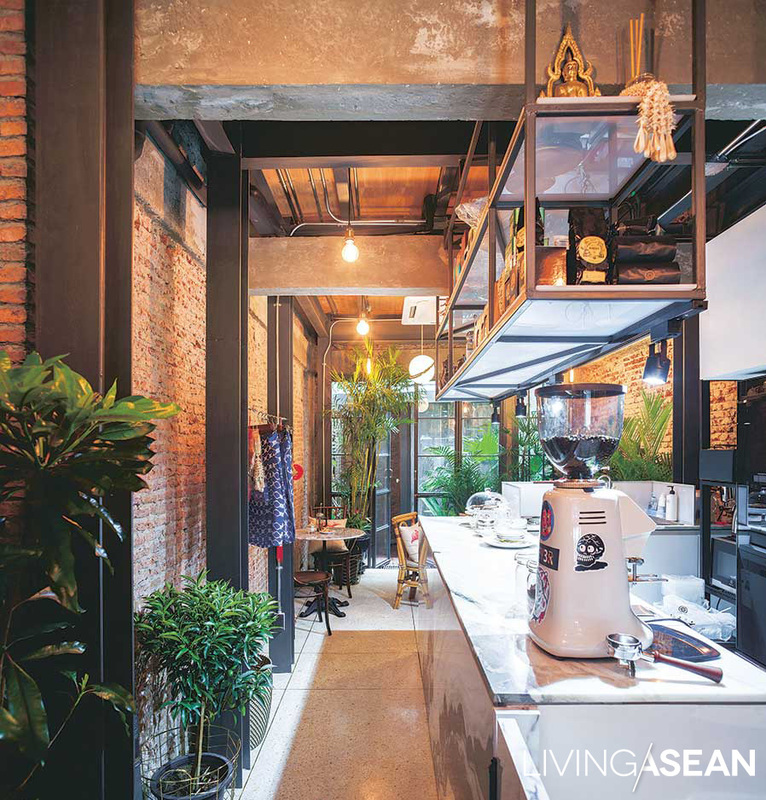 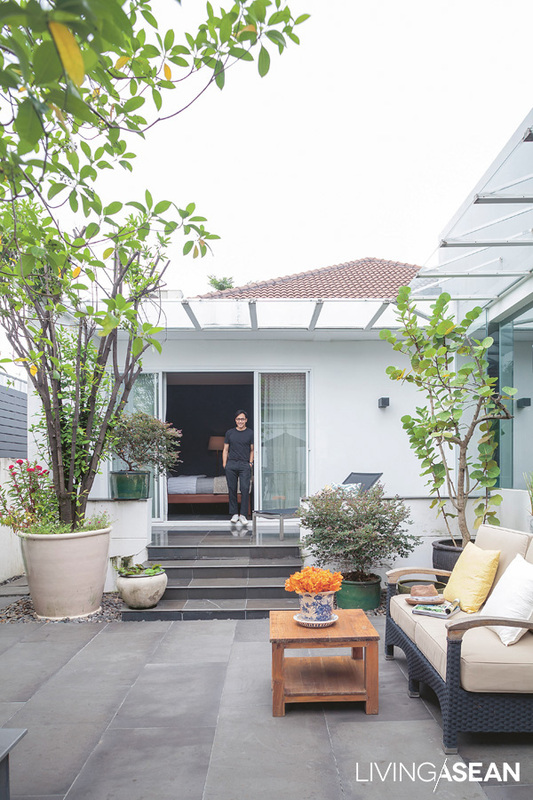 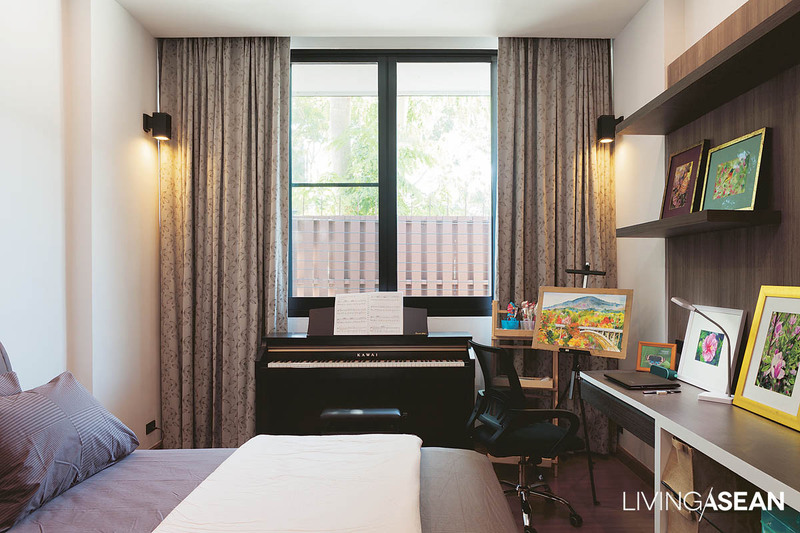 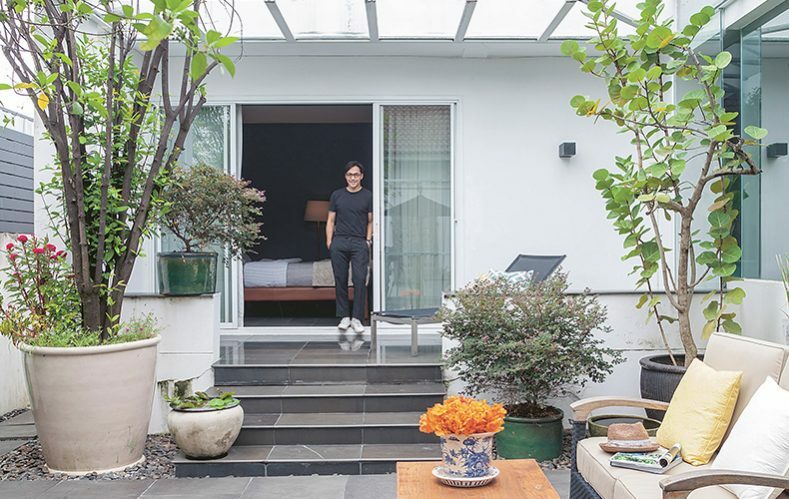 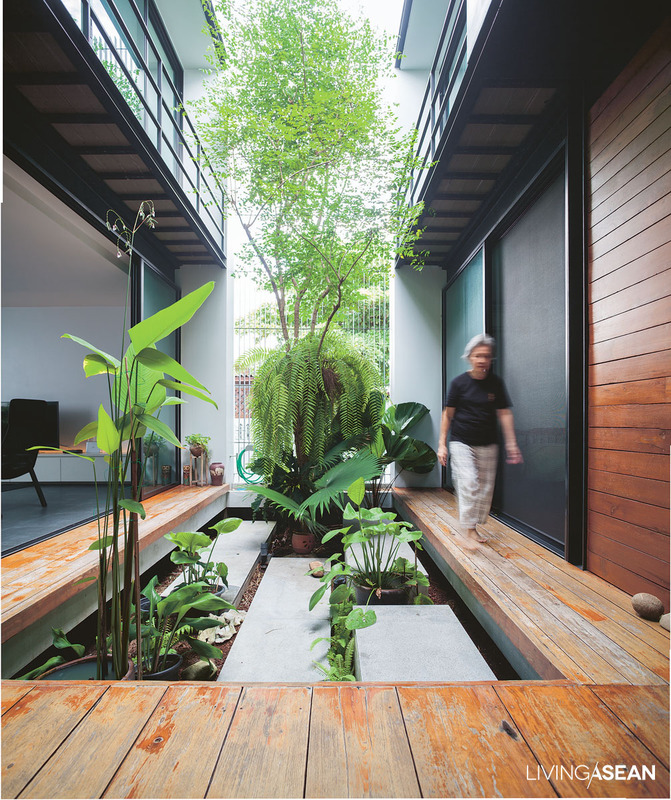 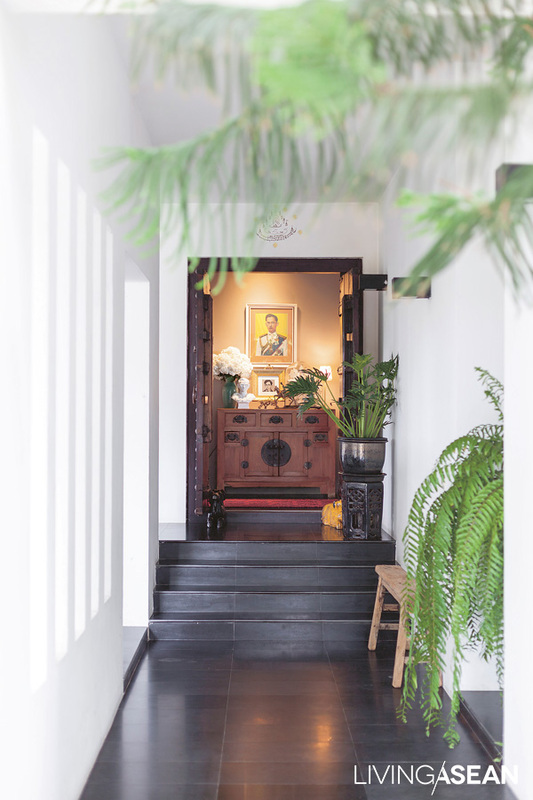 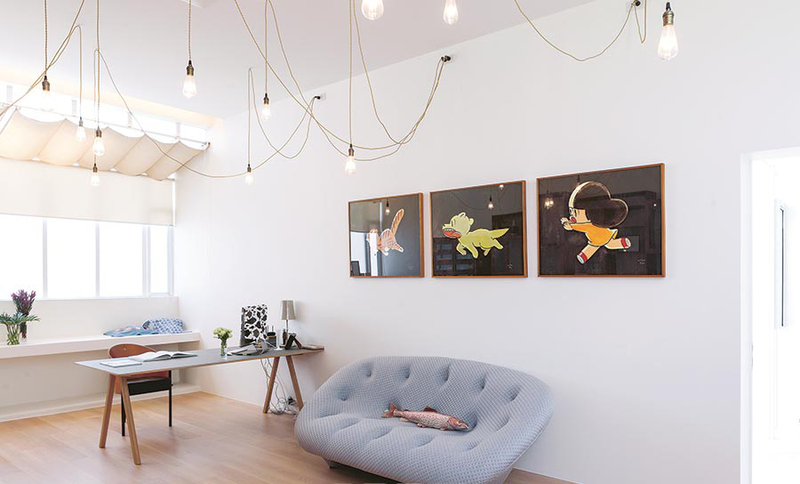 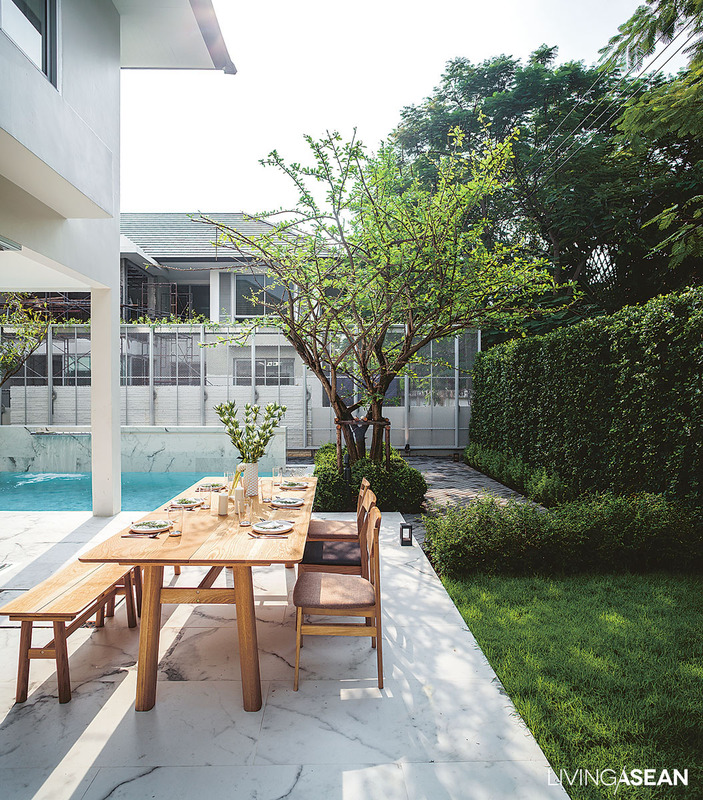 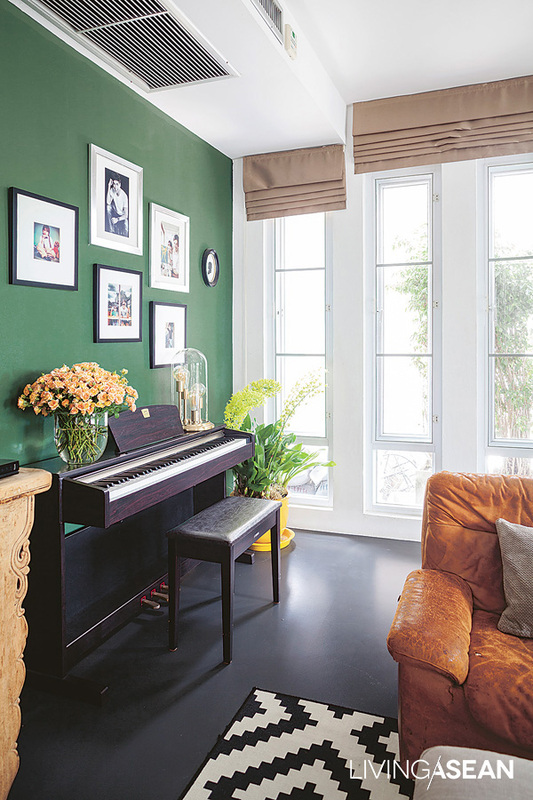 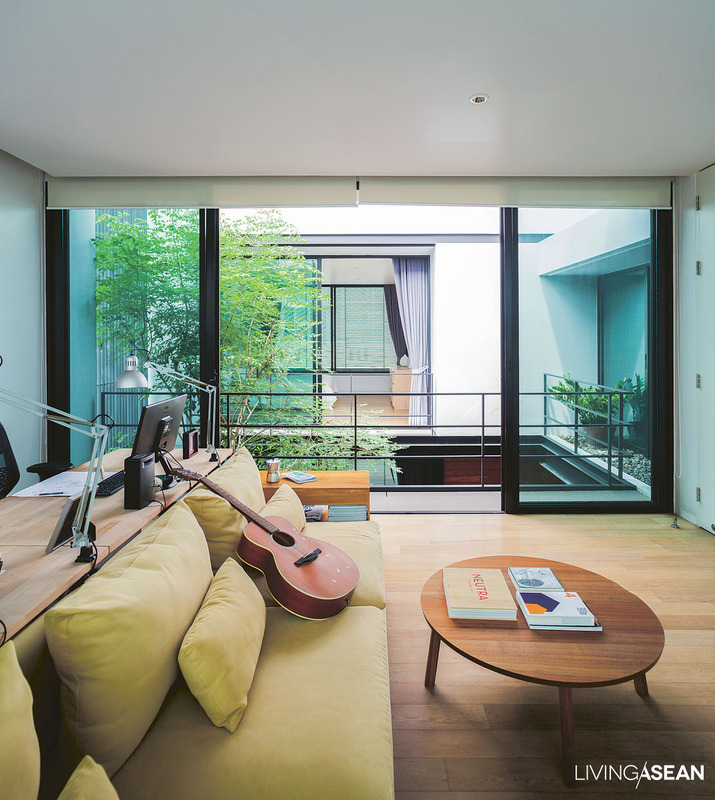 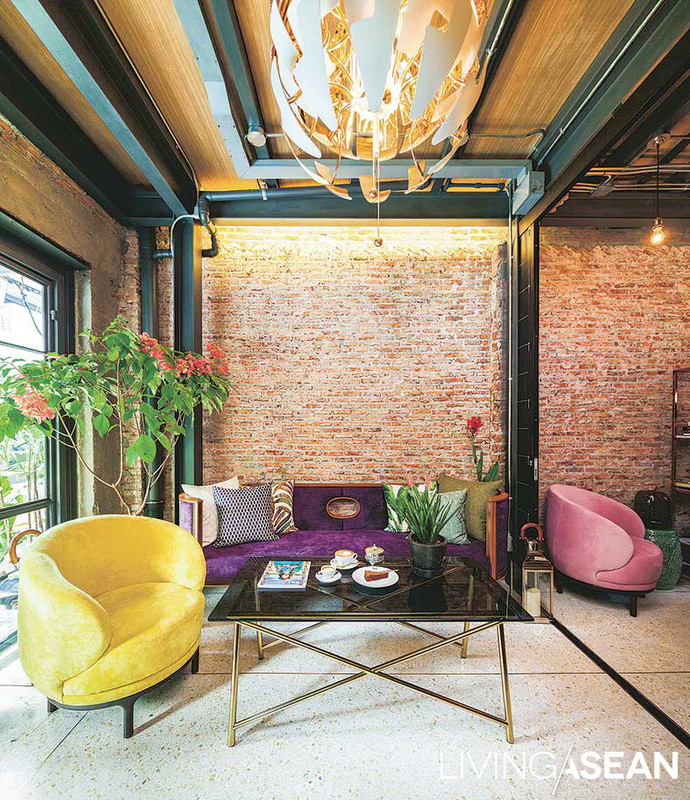 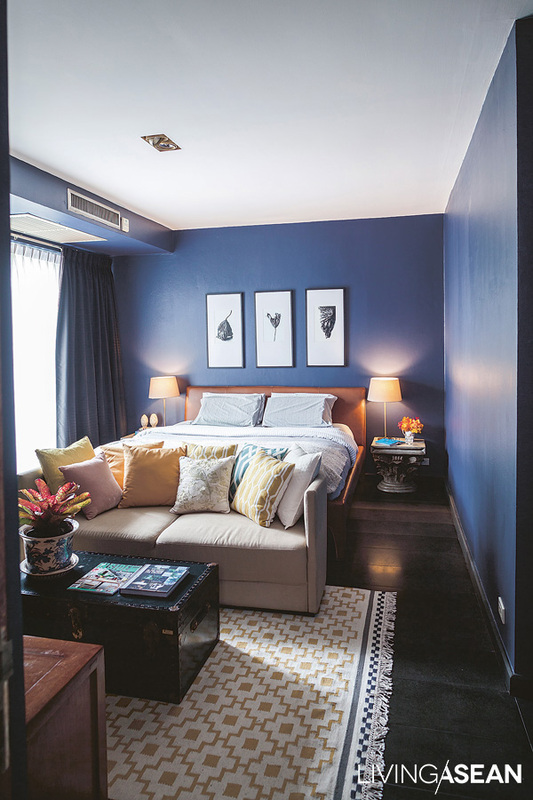 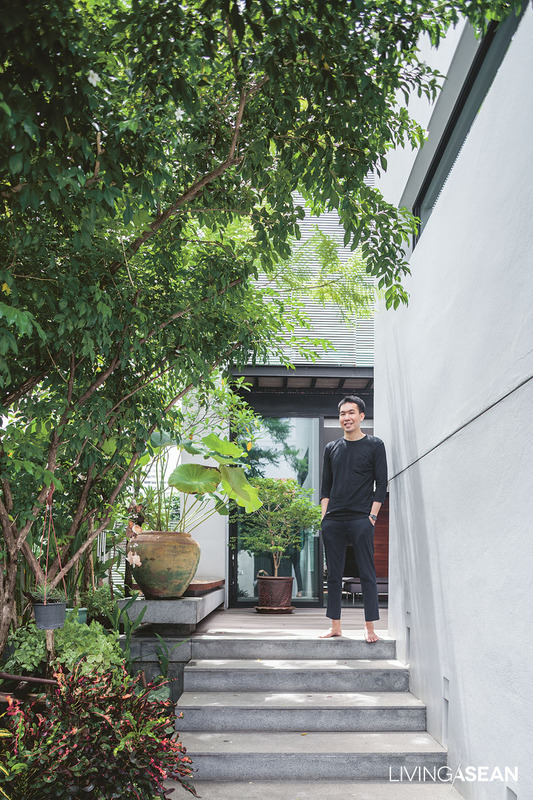 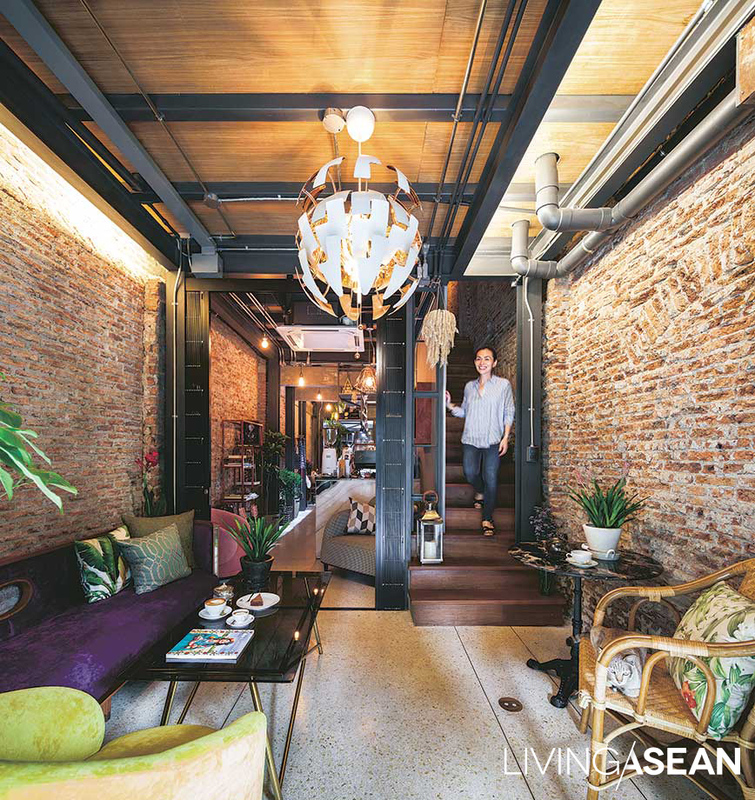 The renovation of this hundred-plus year-old rowhouse in Charoen Krung Soi 44 is more than a home improvement: for Mou Lumwatananont, it’s a homecoming she’d never imagined. 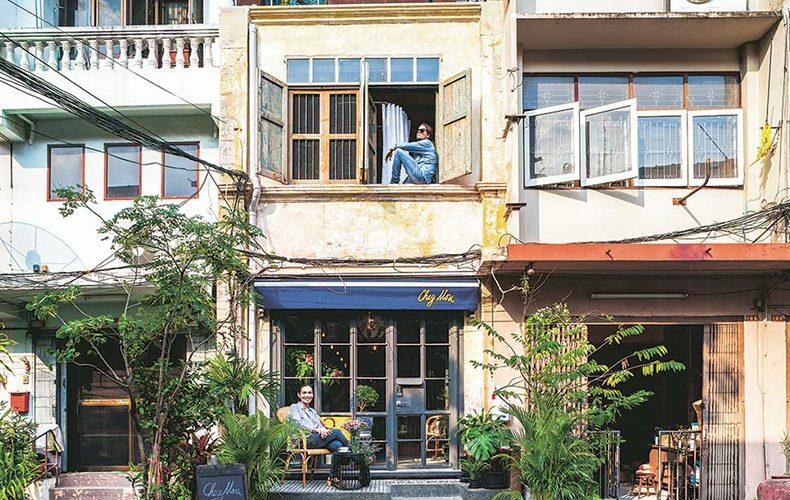 This area’s former prosperity is apparent in traces of European colonial-style architecture and bustling alleys that now welcome international tourists and backpackers to the charm of its storied history. 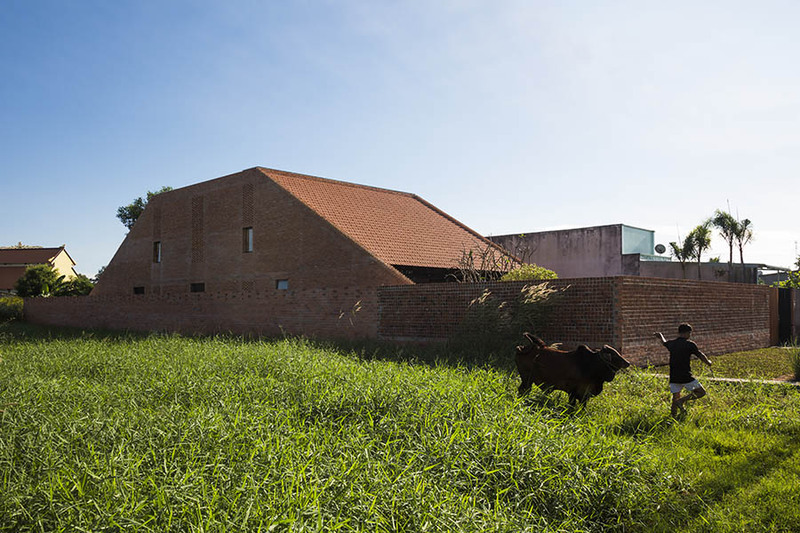 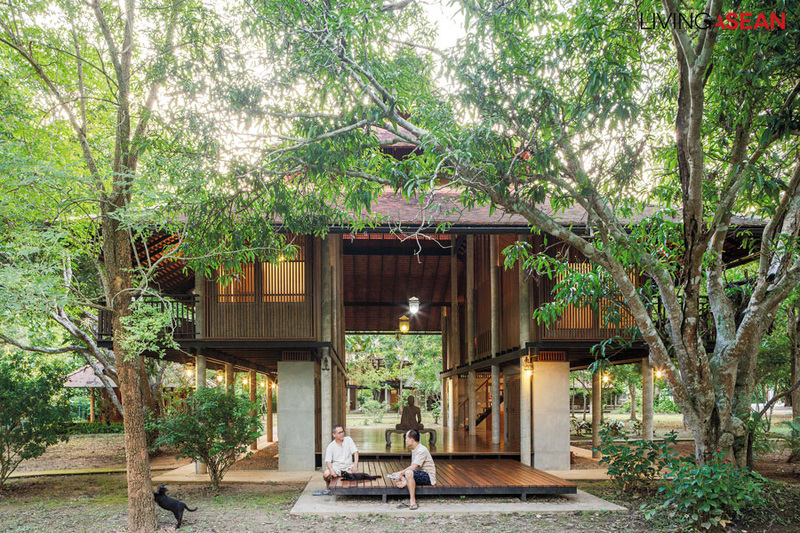 Mou and architect Pok (Wachirasak Maneewatanaperk) from sea.monkey.coconut share views on the value of preserving history through architecture. 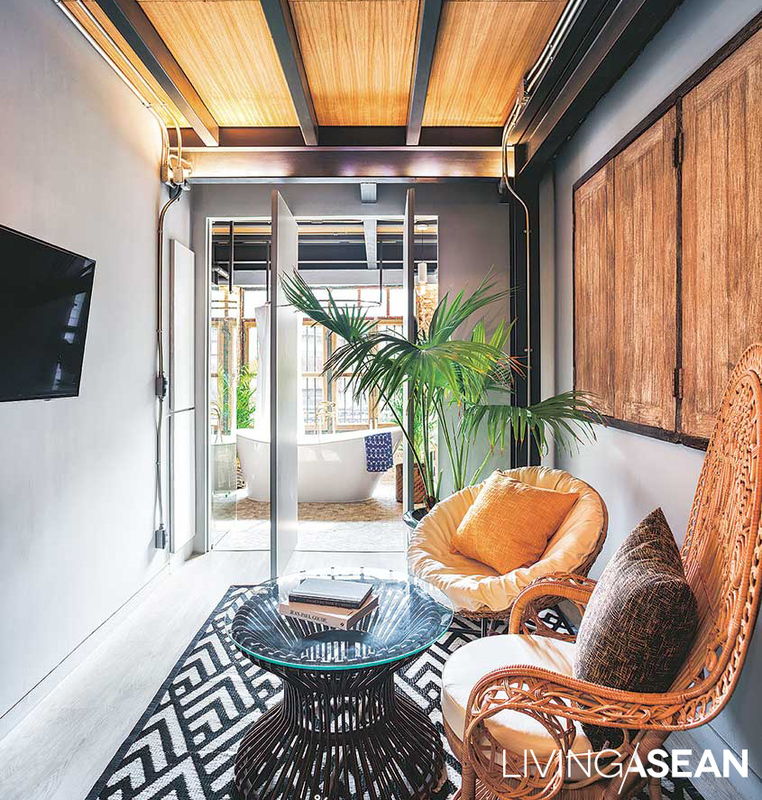 Row houses lasting more than a hundred years naturally tell stories with marks from sun and wind, just as with marks left on our lives by travel. 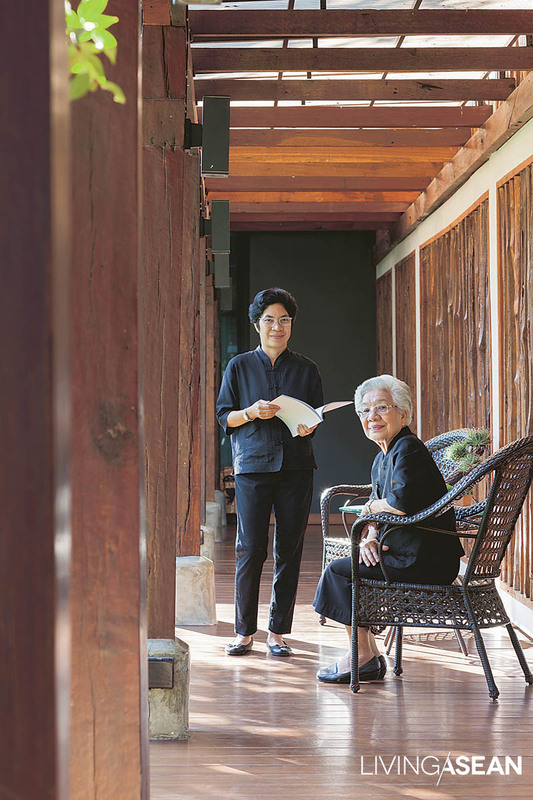 Leaving to study and live in England for more than twenty years Mou could never have expected the winds would slowly blow her back to her origins with a new feeling, one born of love and dreams. 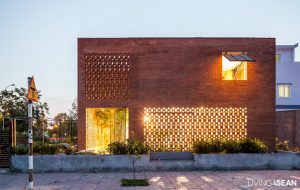 The word “Chez” is French, meaning “at,” or “at the home of,” hence the name: Mou has opened her home to welcome friends at “Chez Mou,” where stories are told by marks on bricks and sweet smiles. 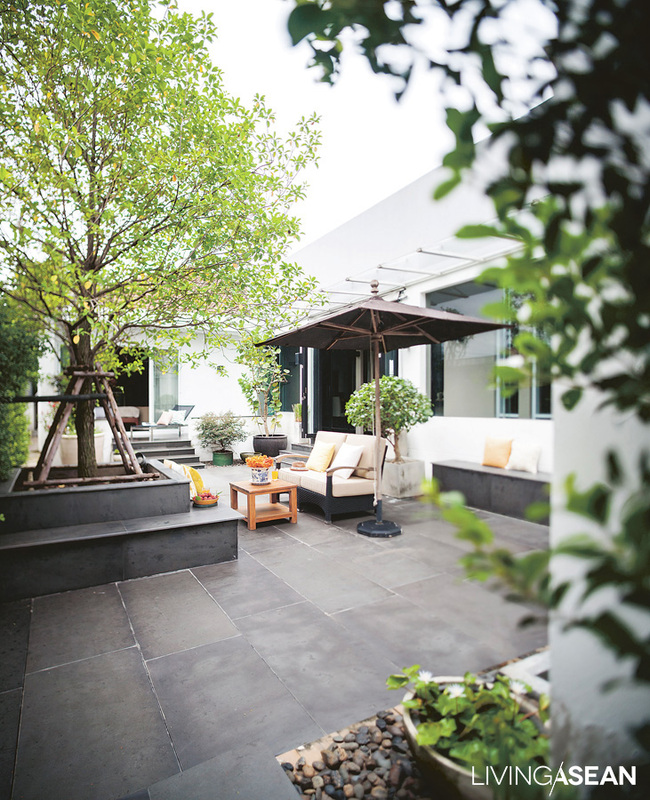 Here is a place full of feeling of release from travel, and full of a bittersweet, gentle fragrance. 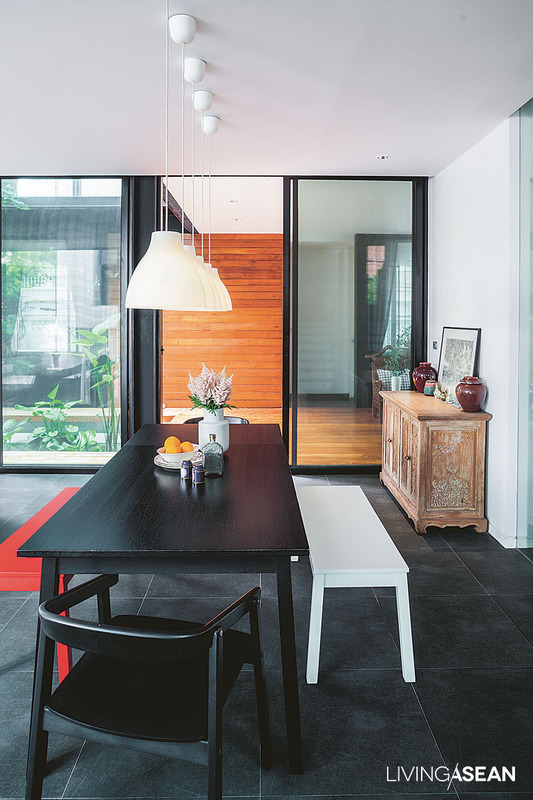 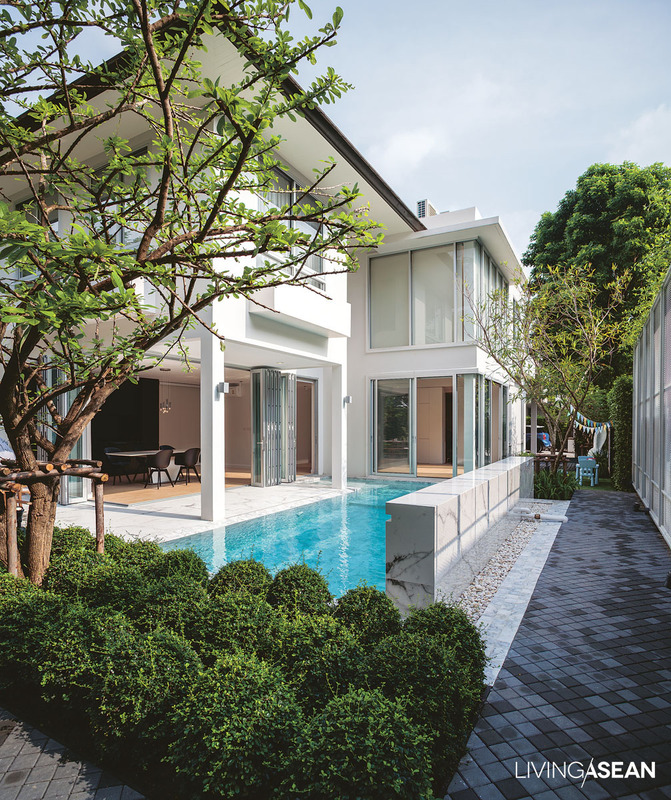 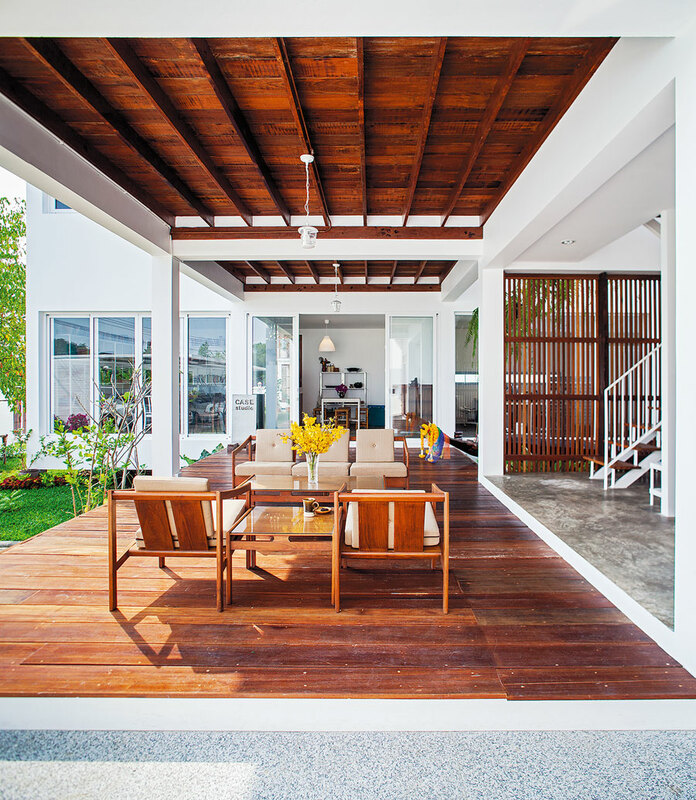 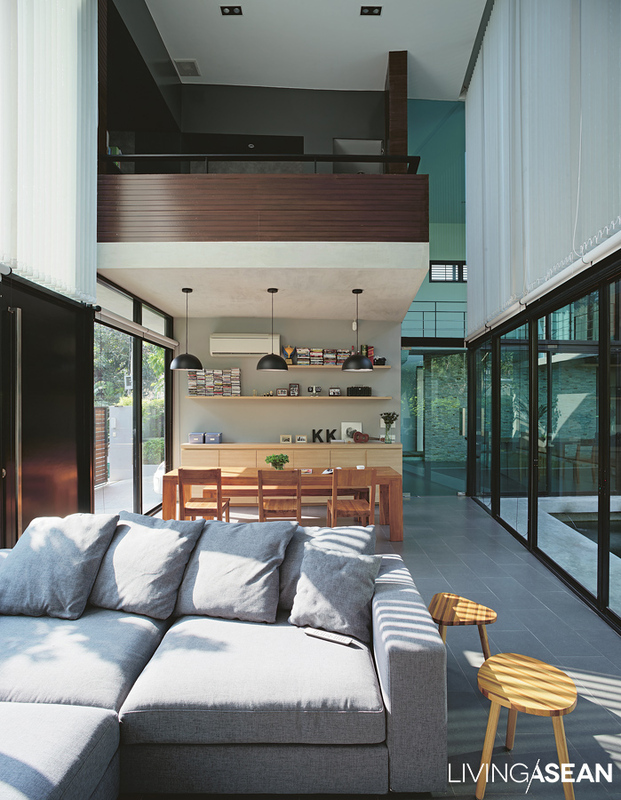 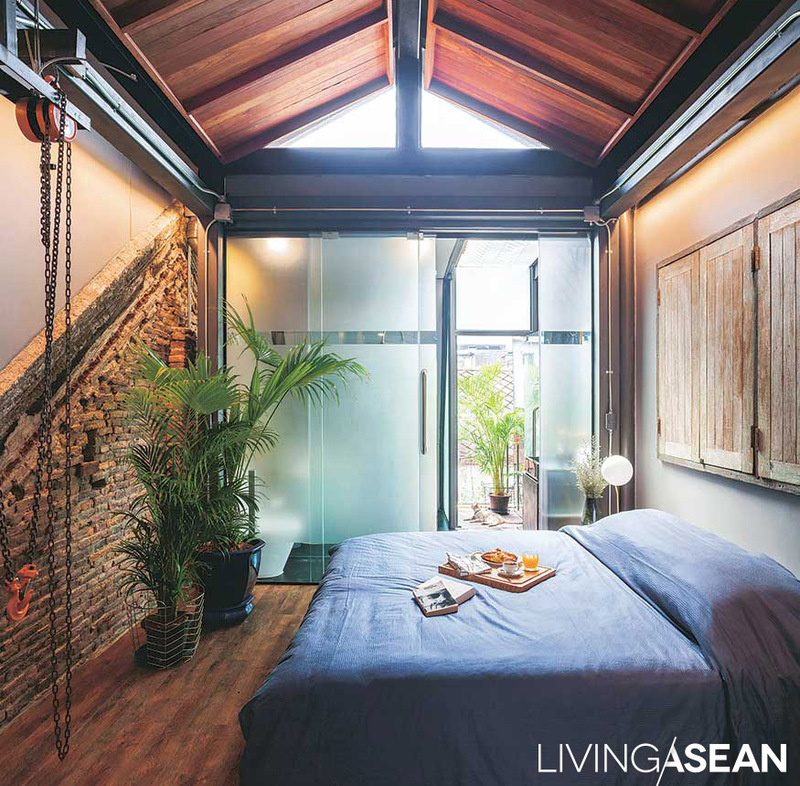 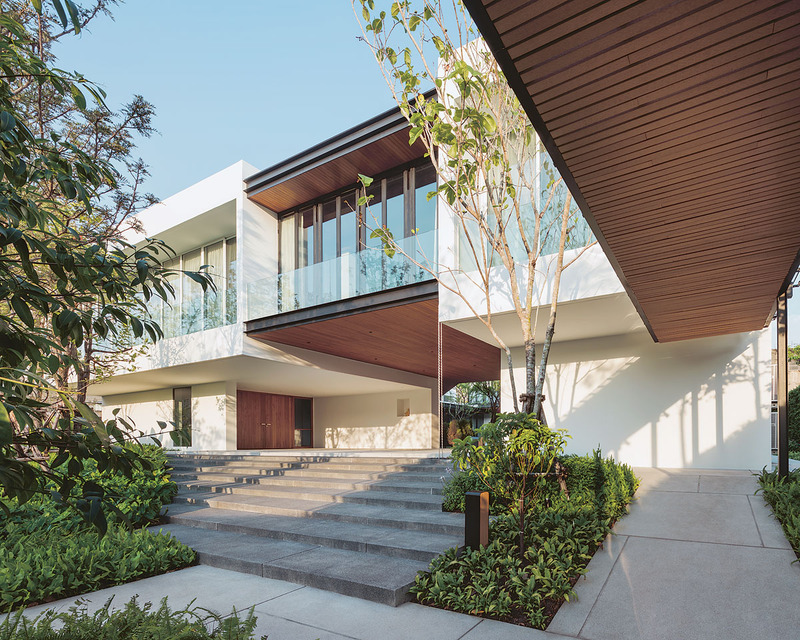 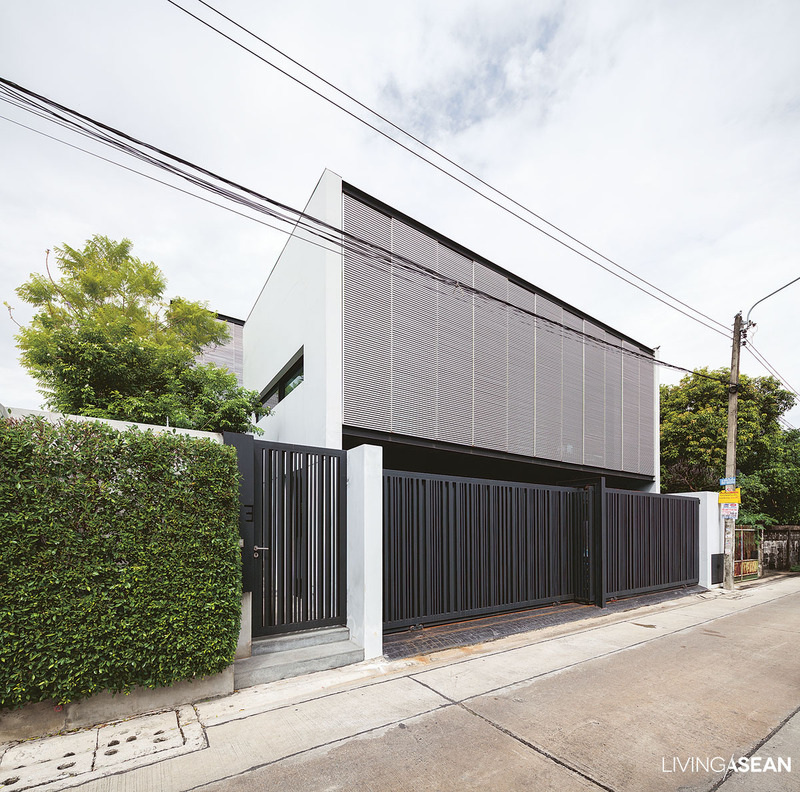 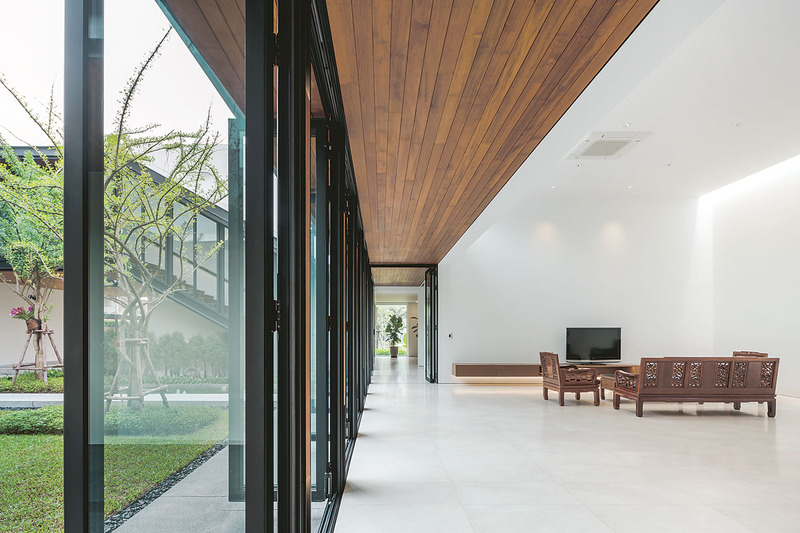 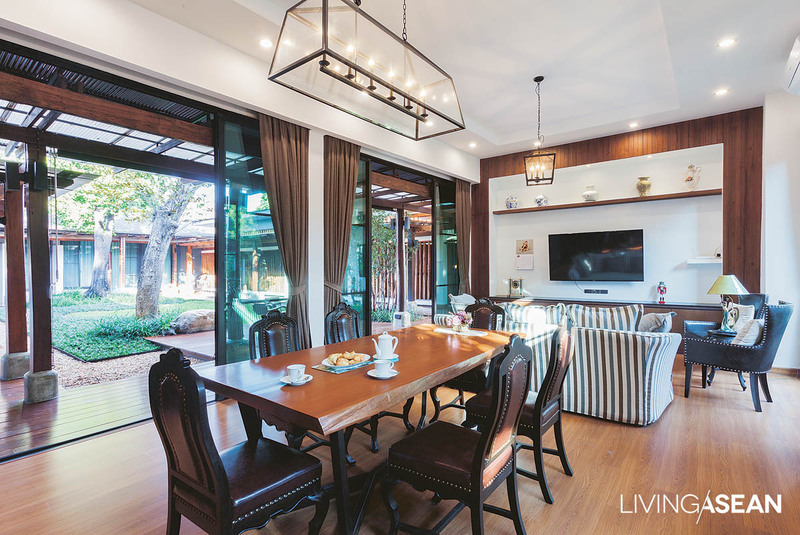 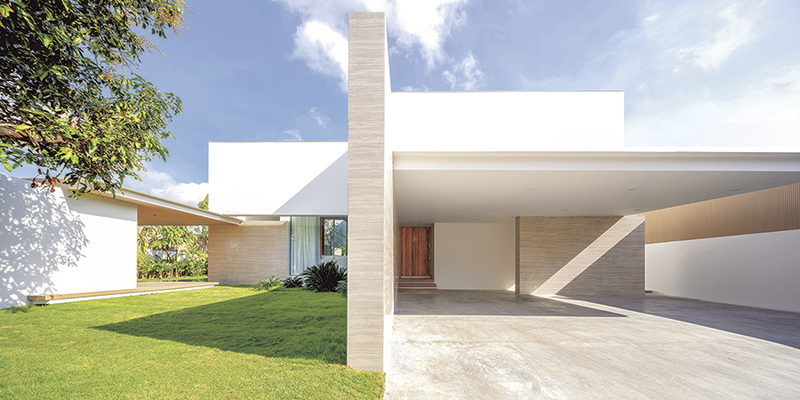 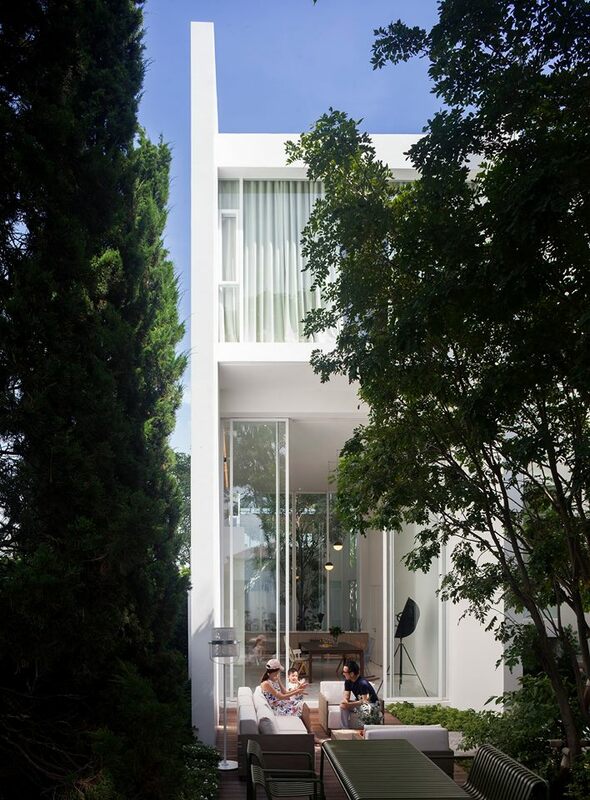 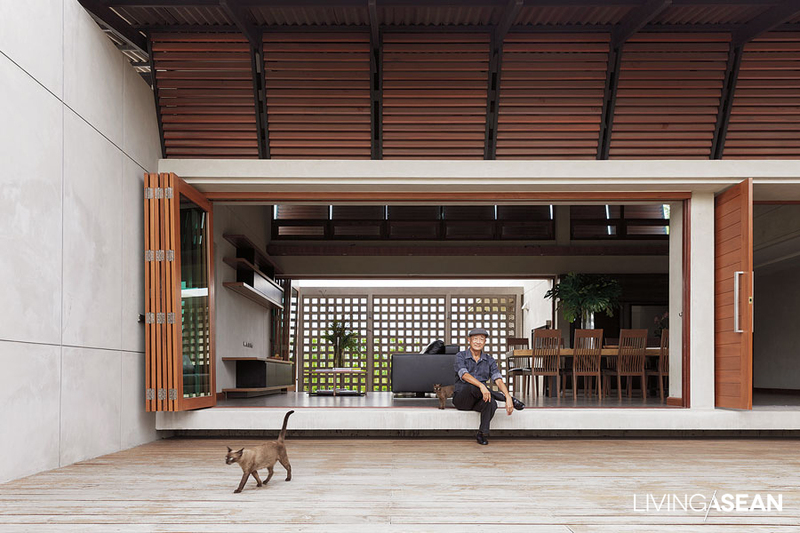 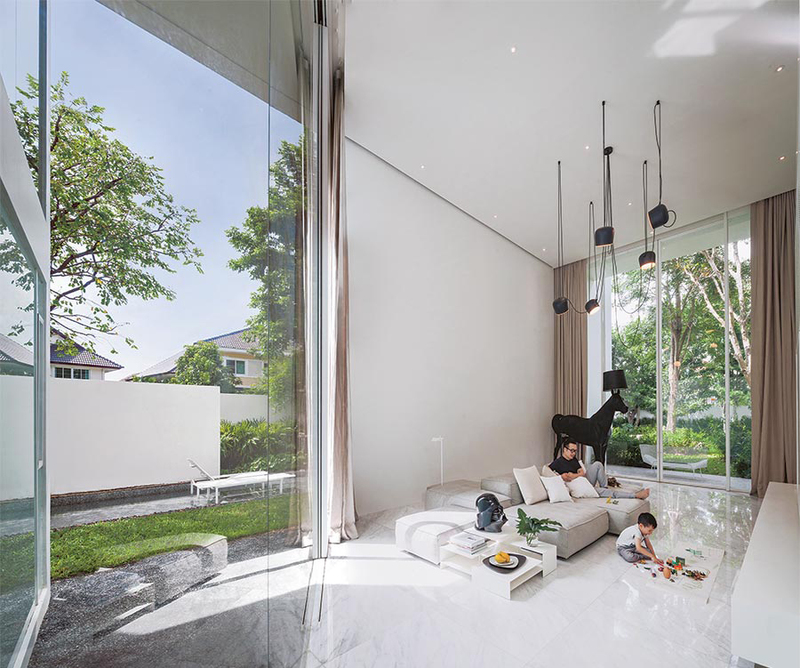 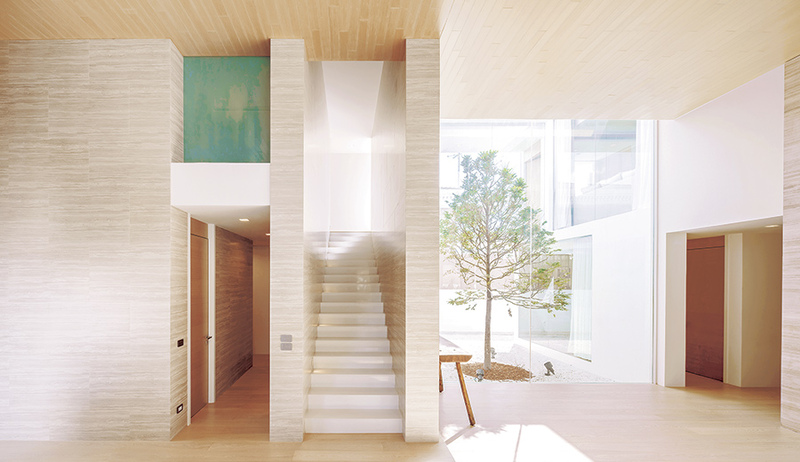 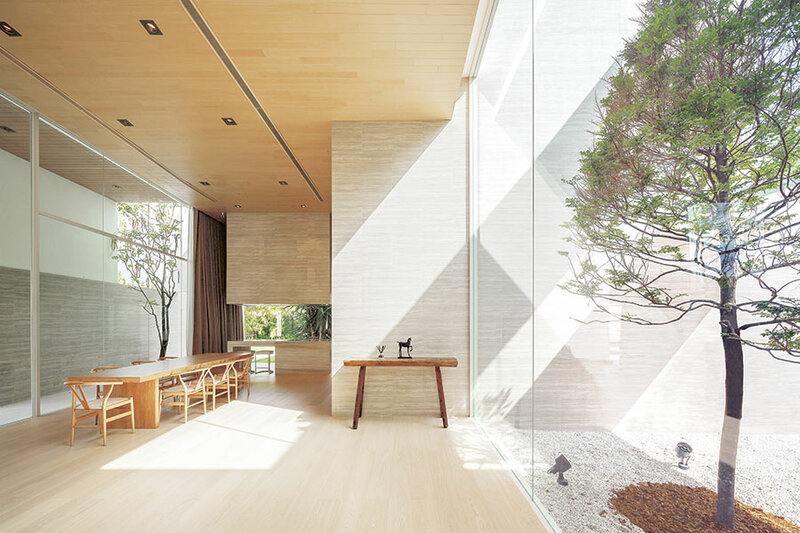 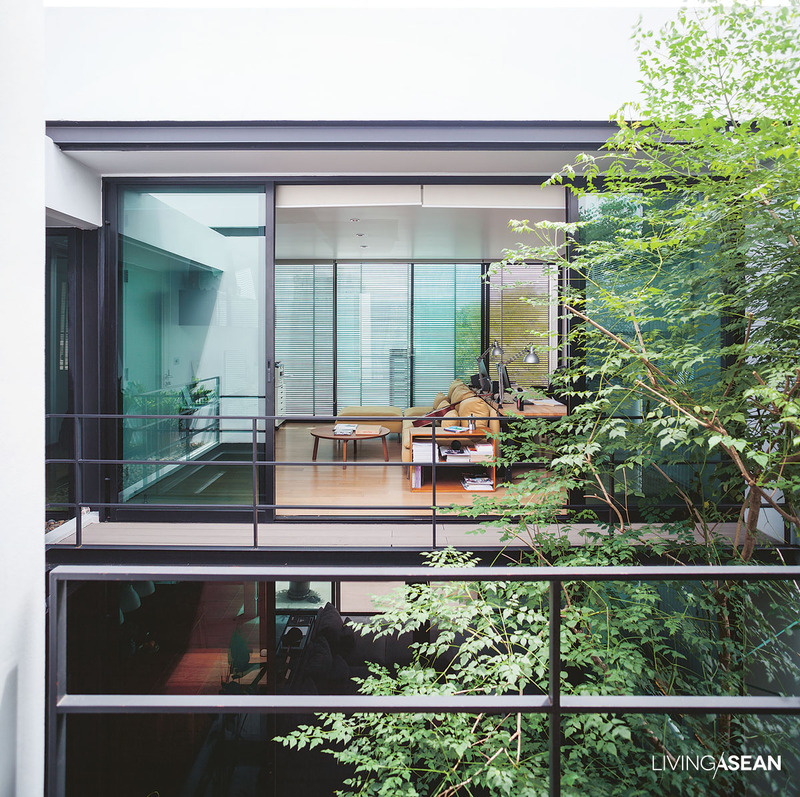 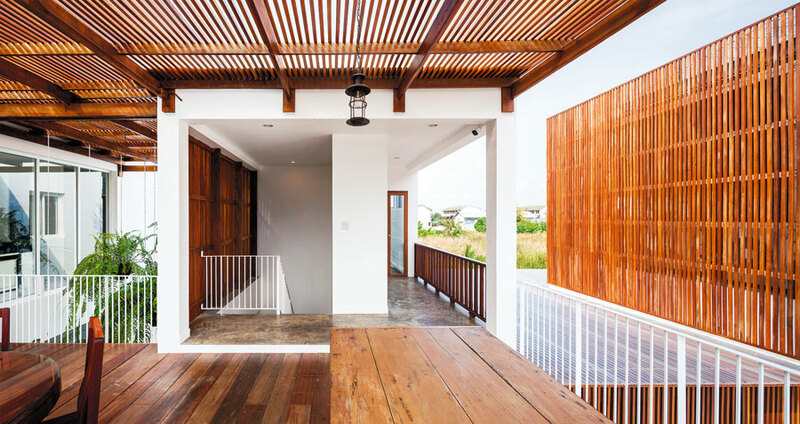 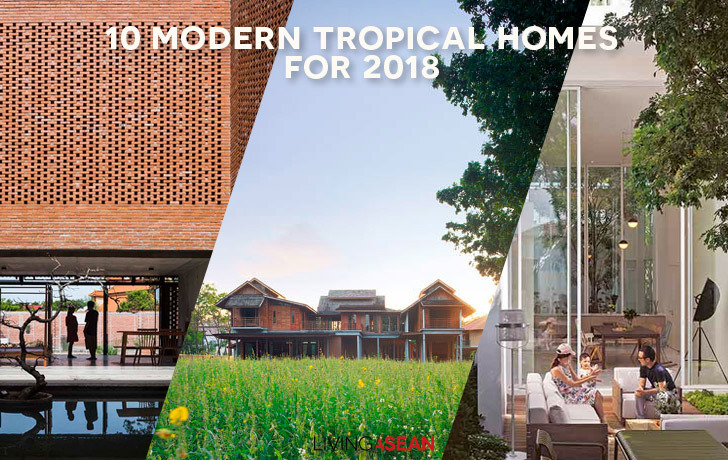 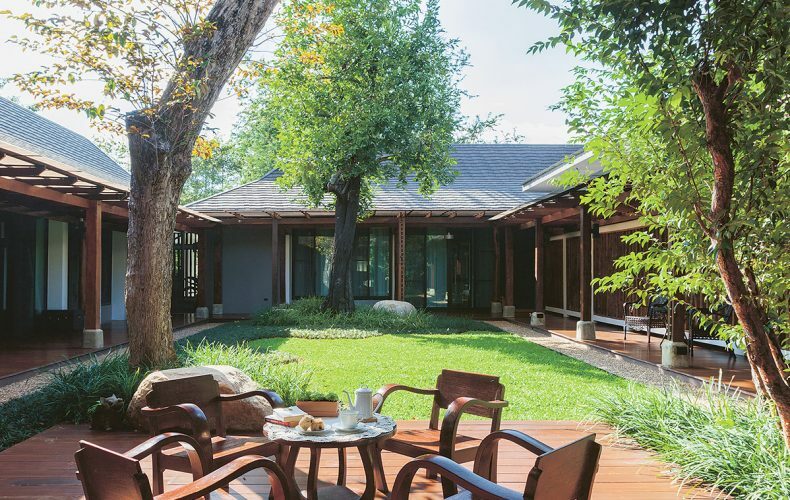 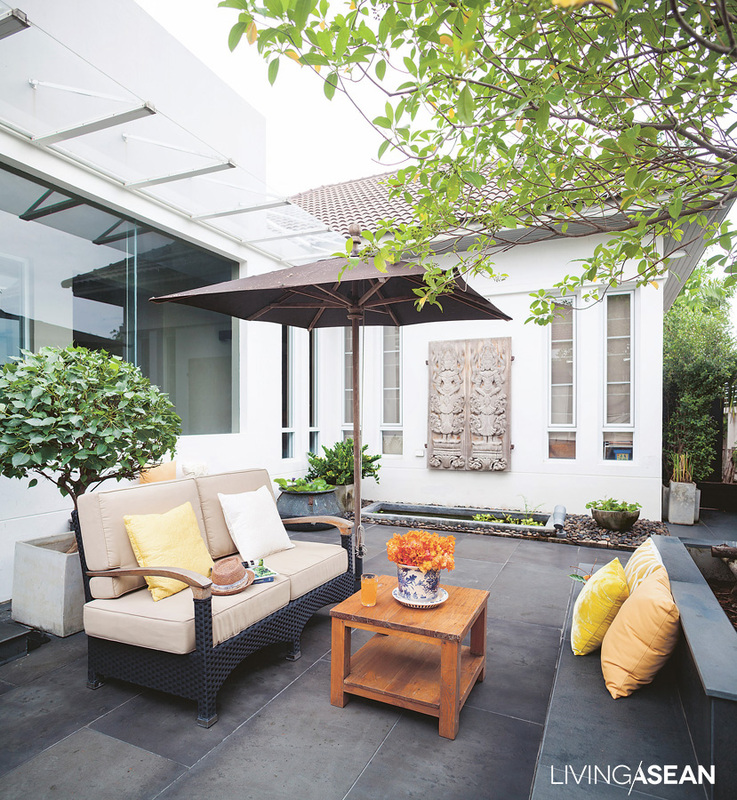 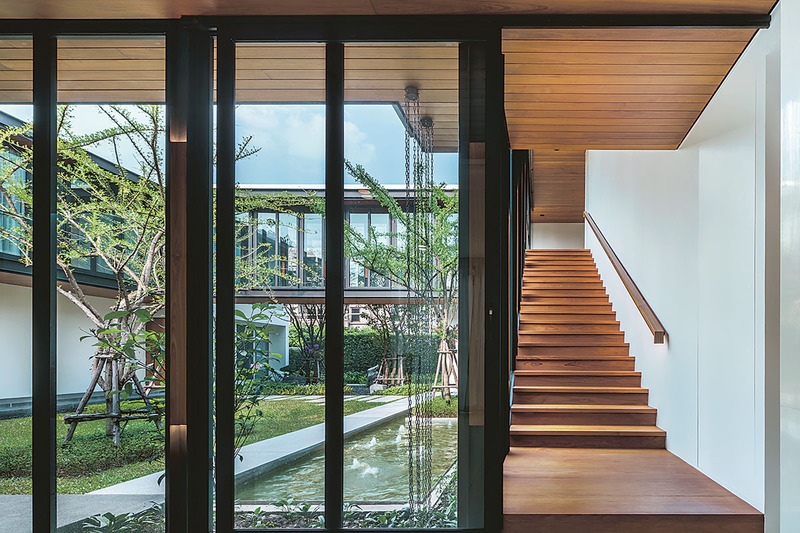 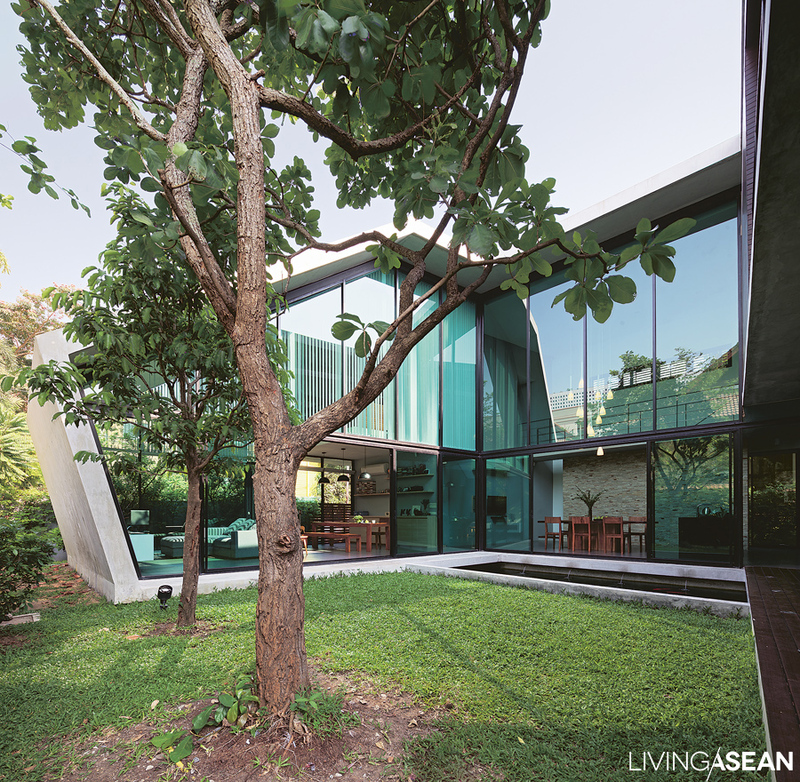 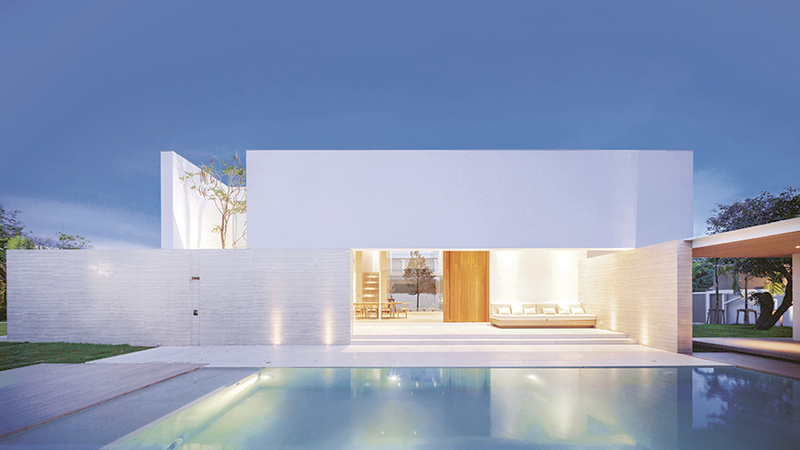 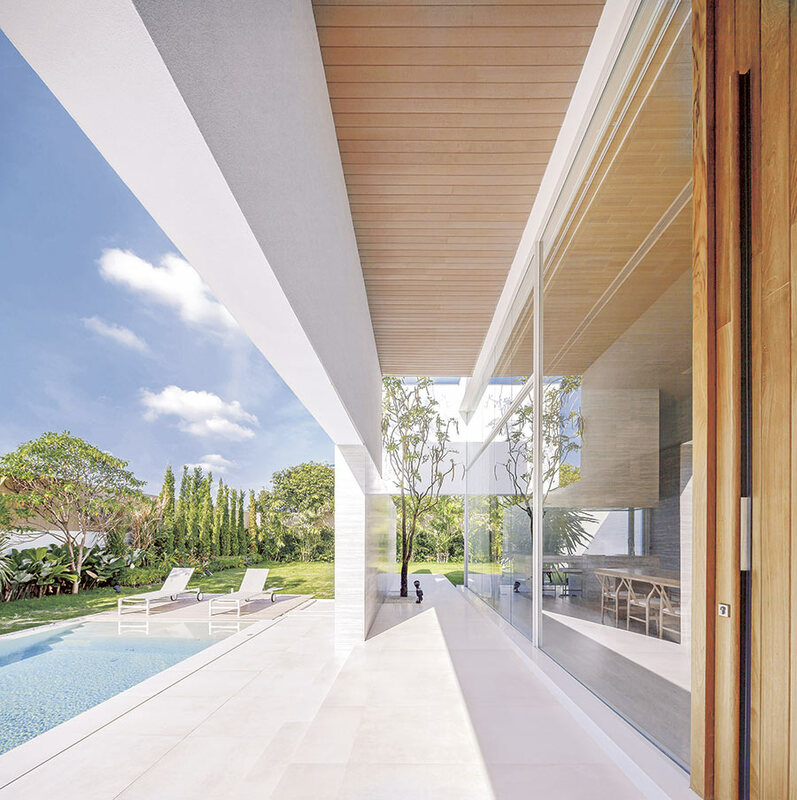 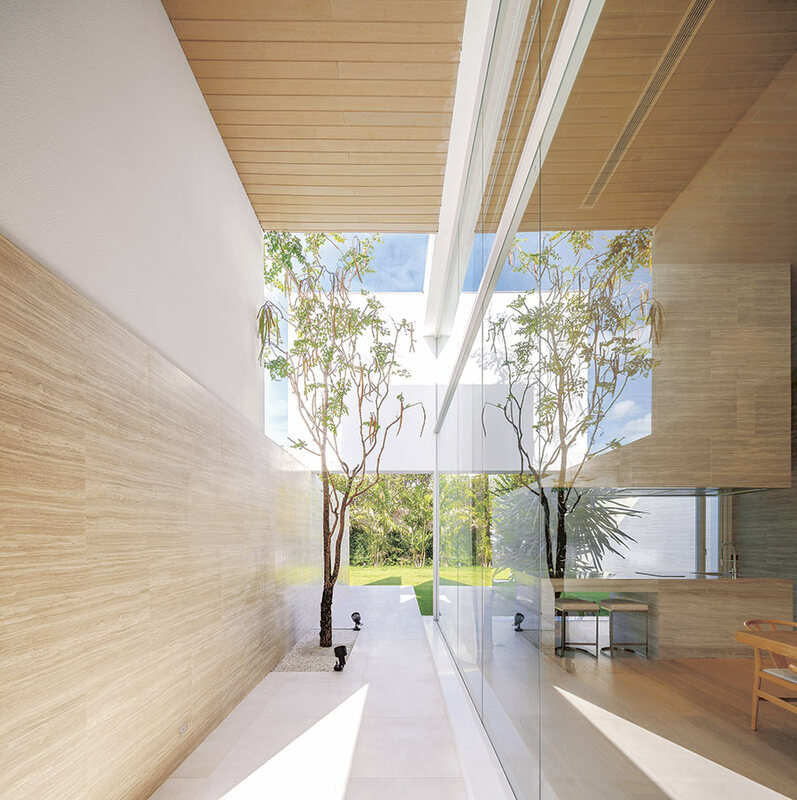 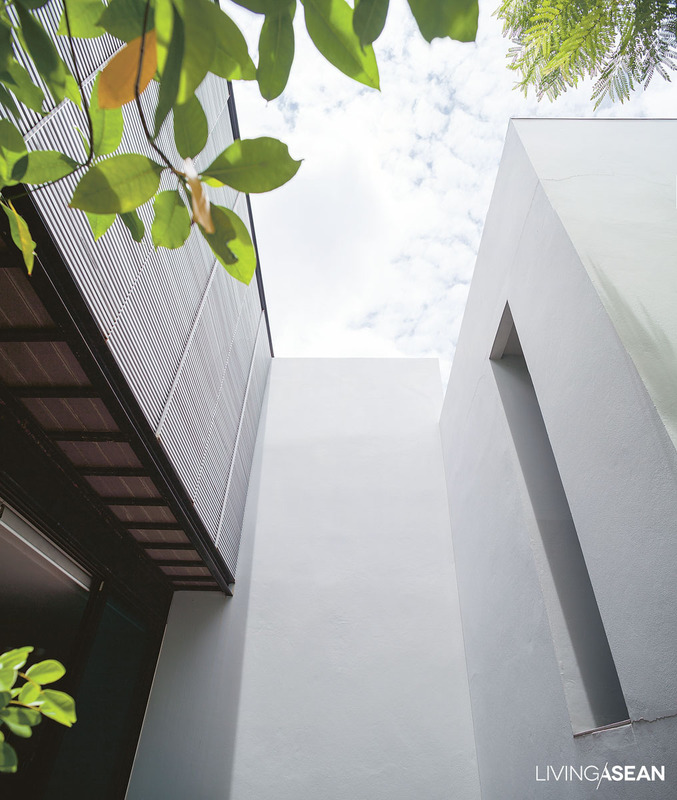 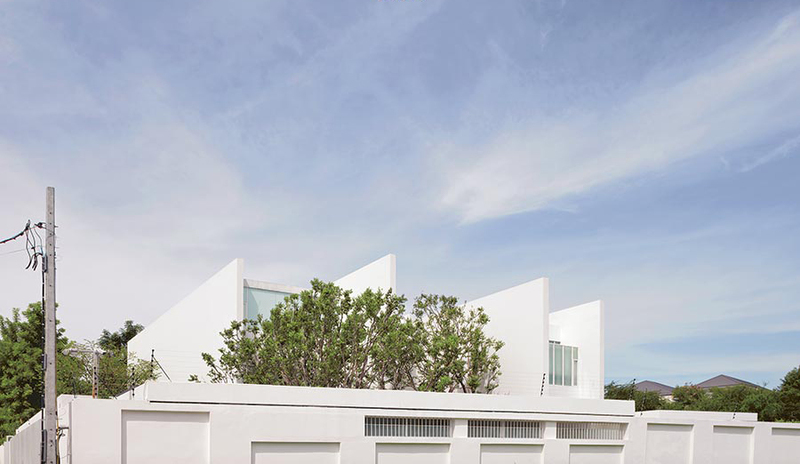 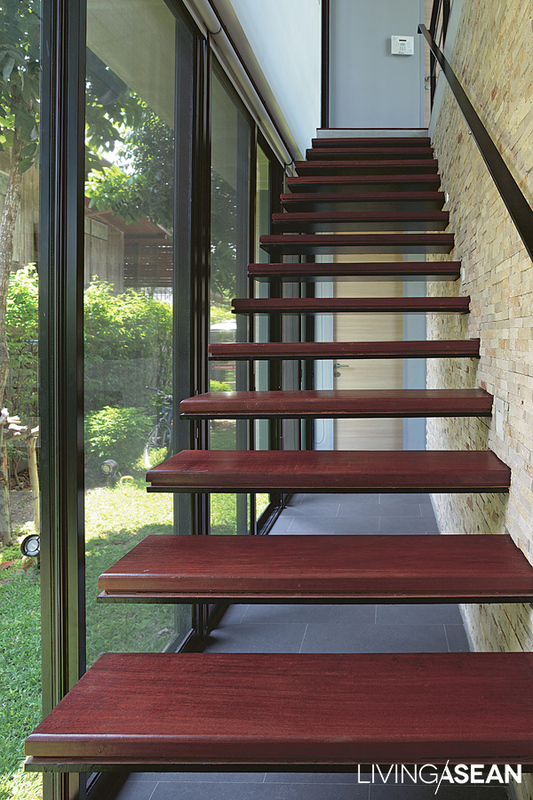 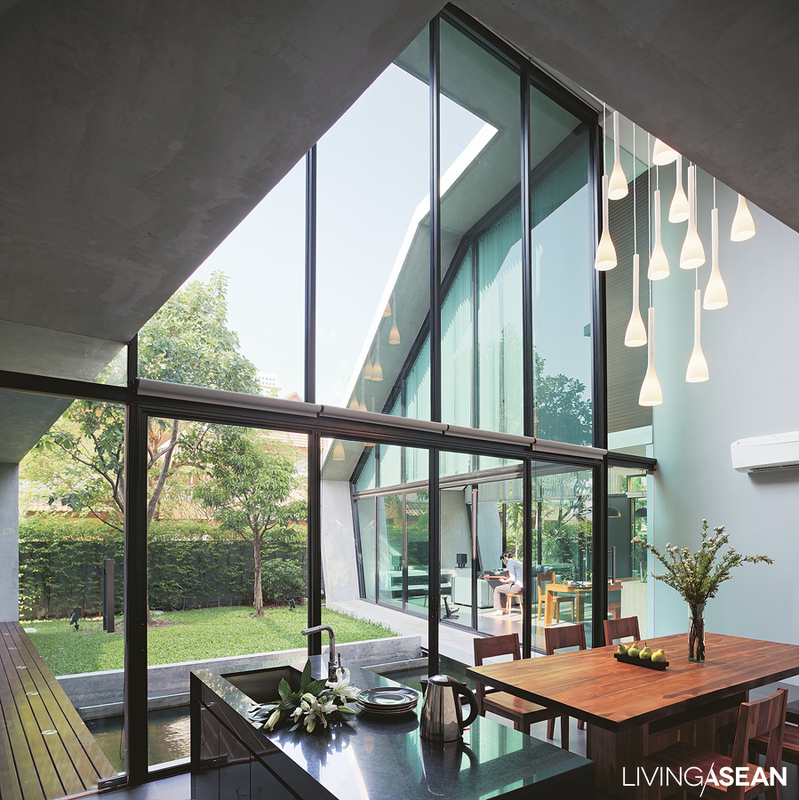 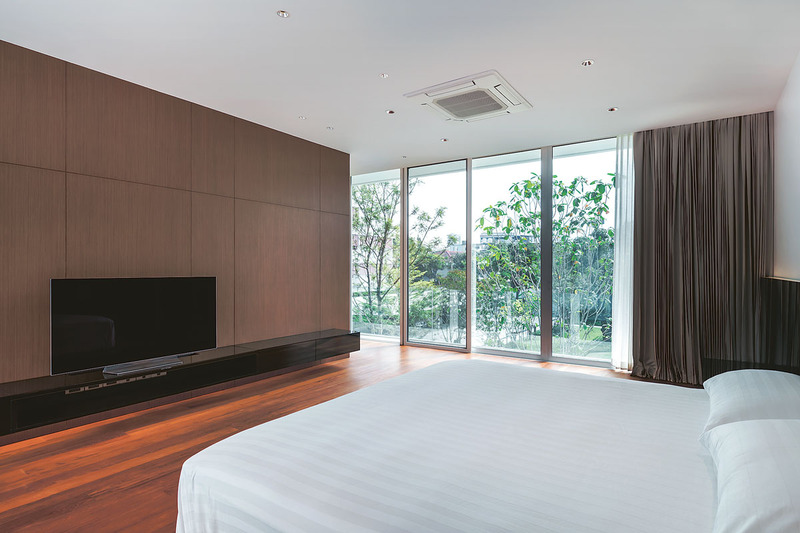 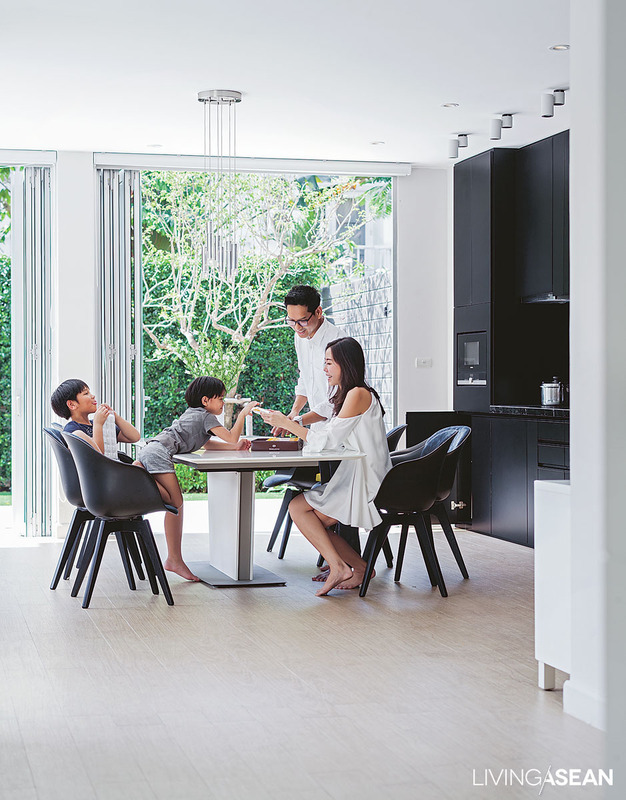 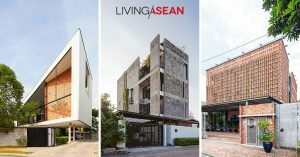 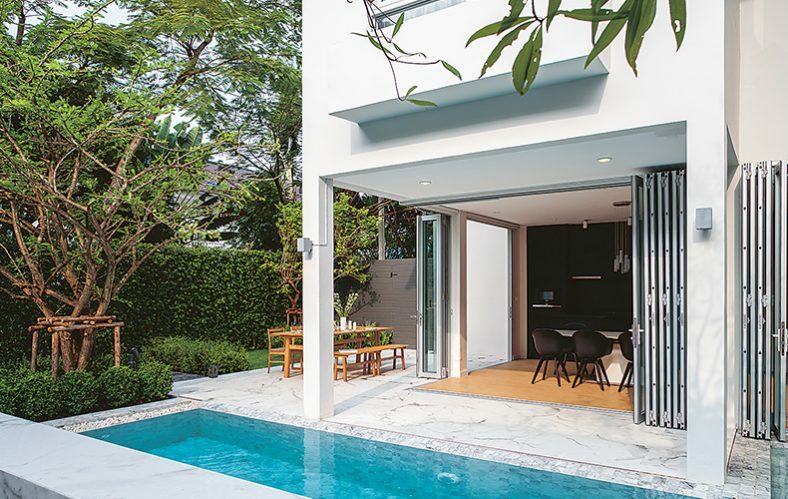 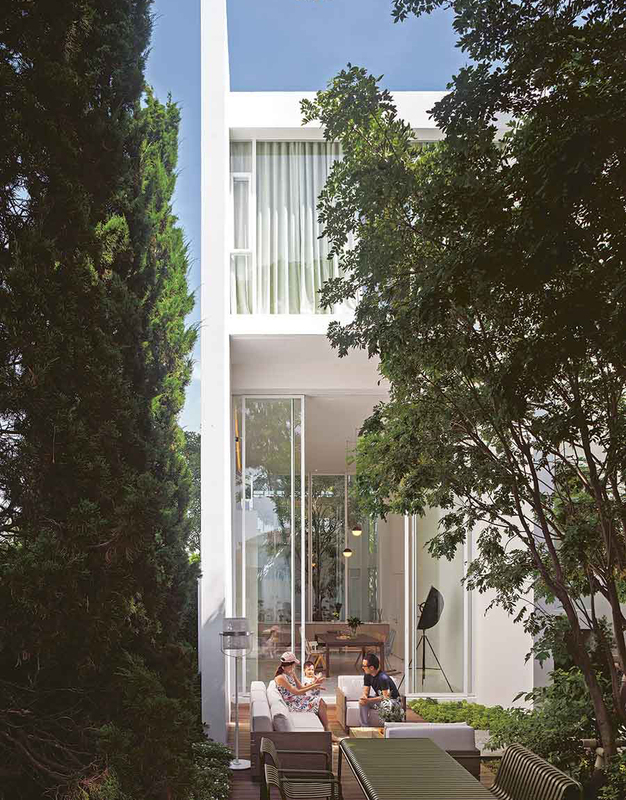 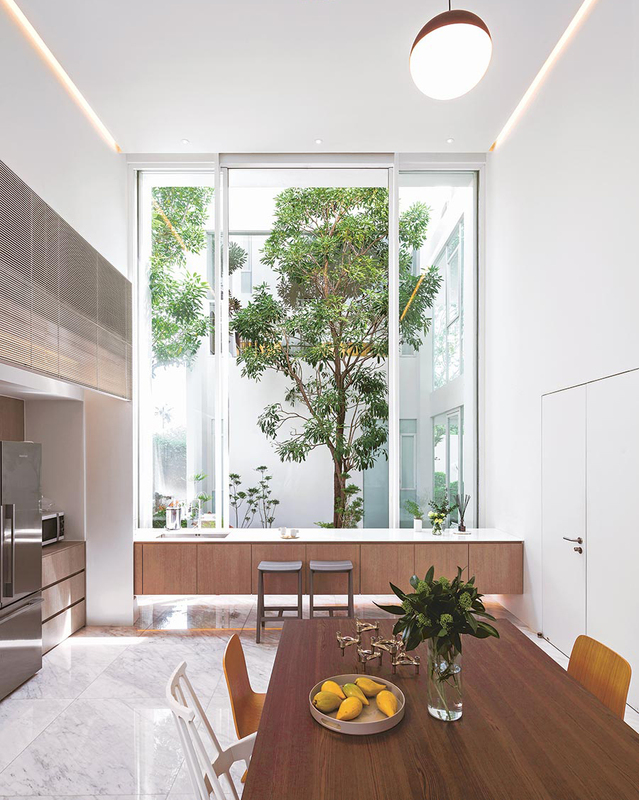 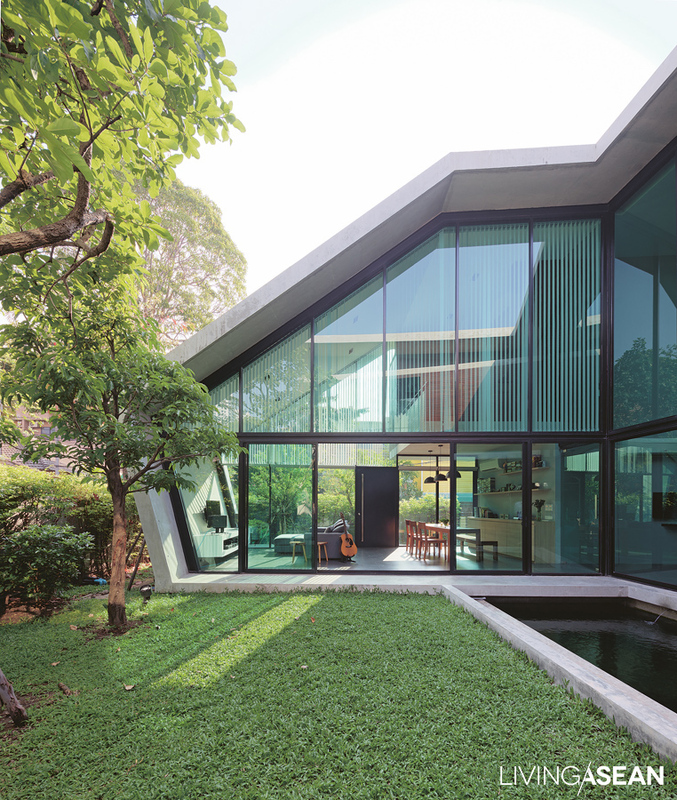 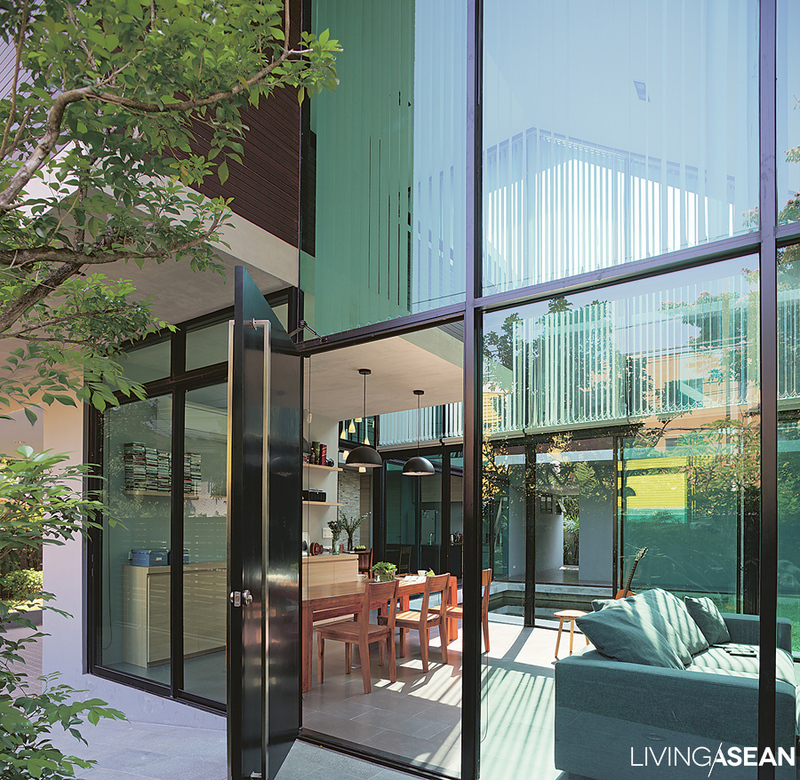 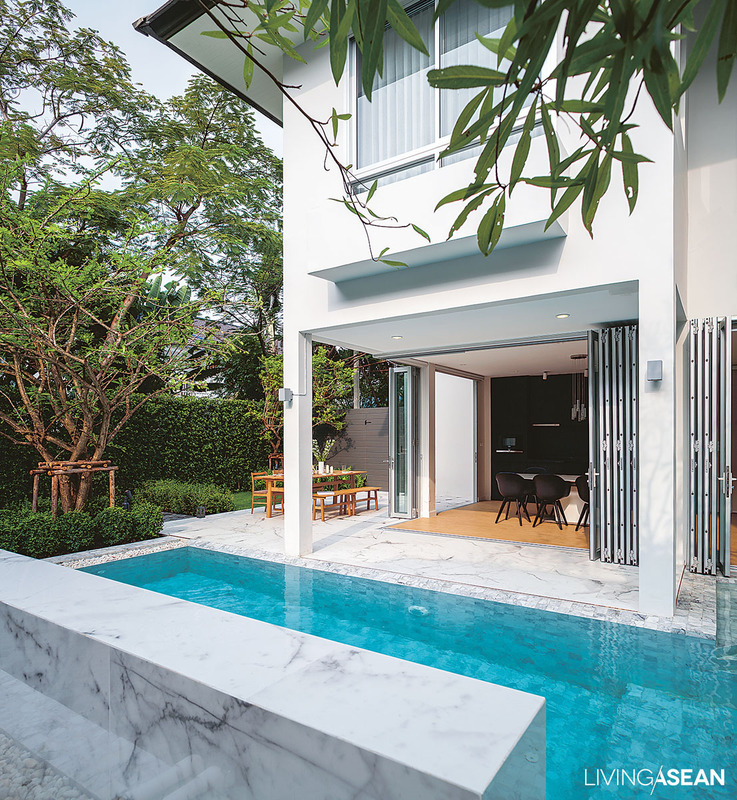 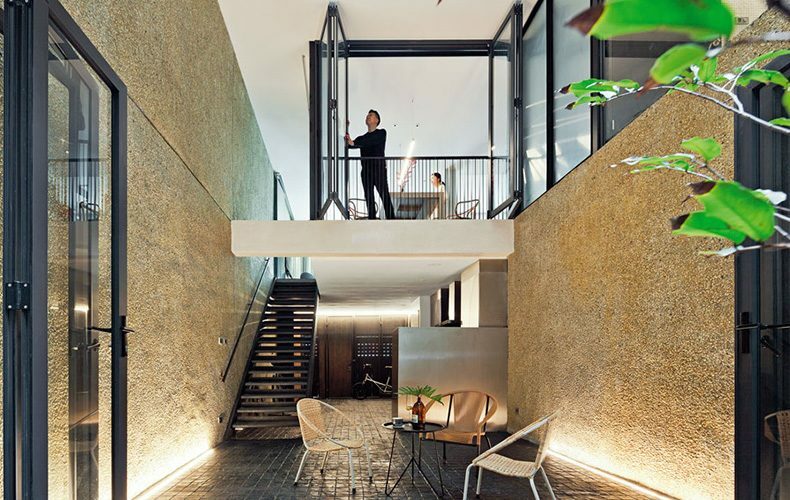 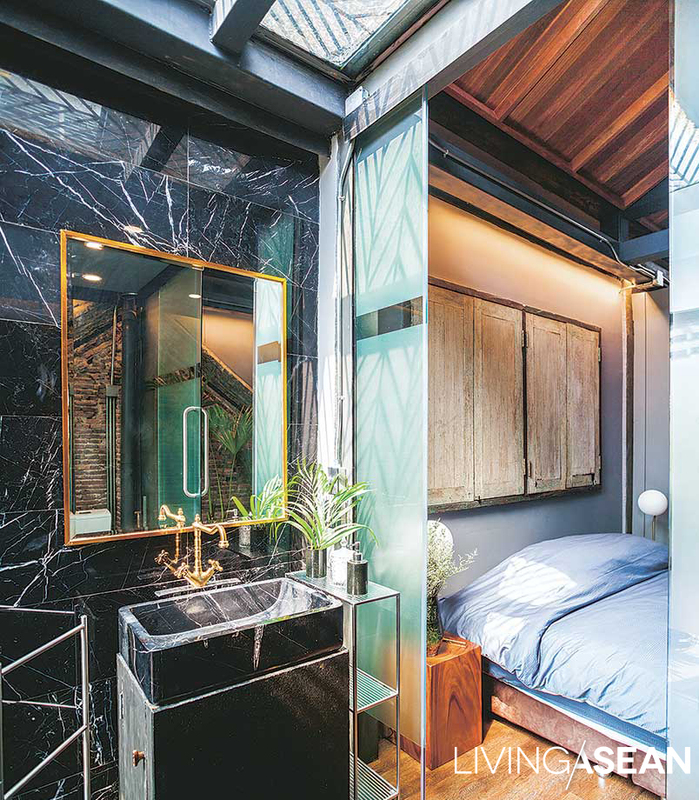 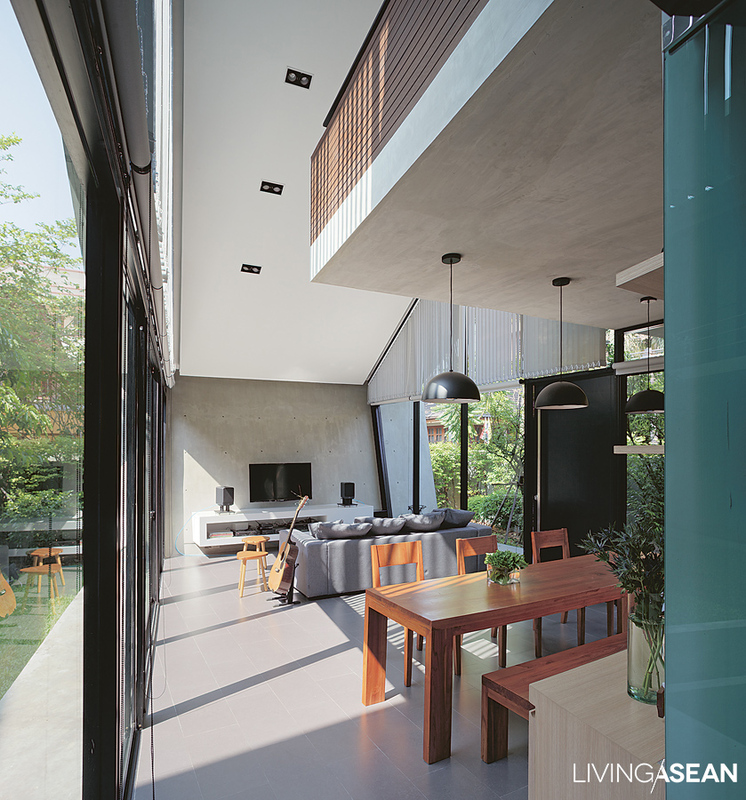 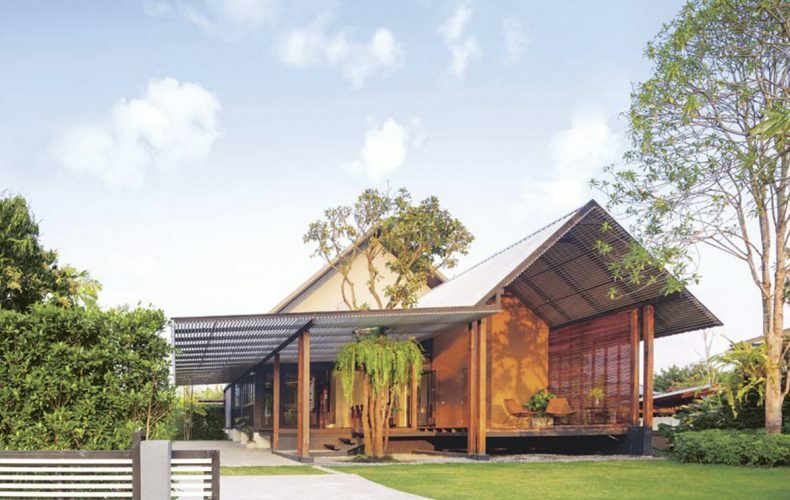 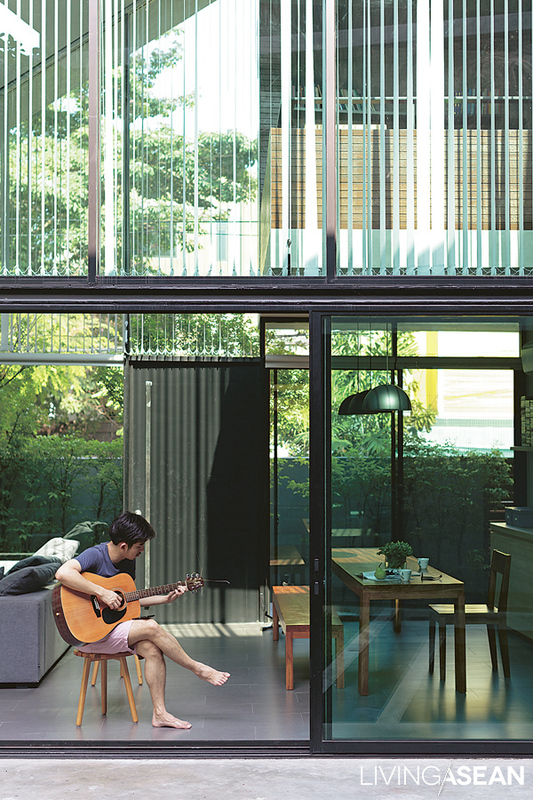 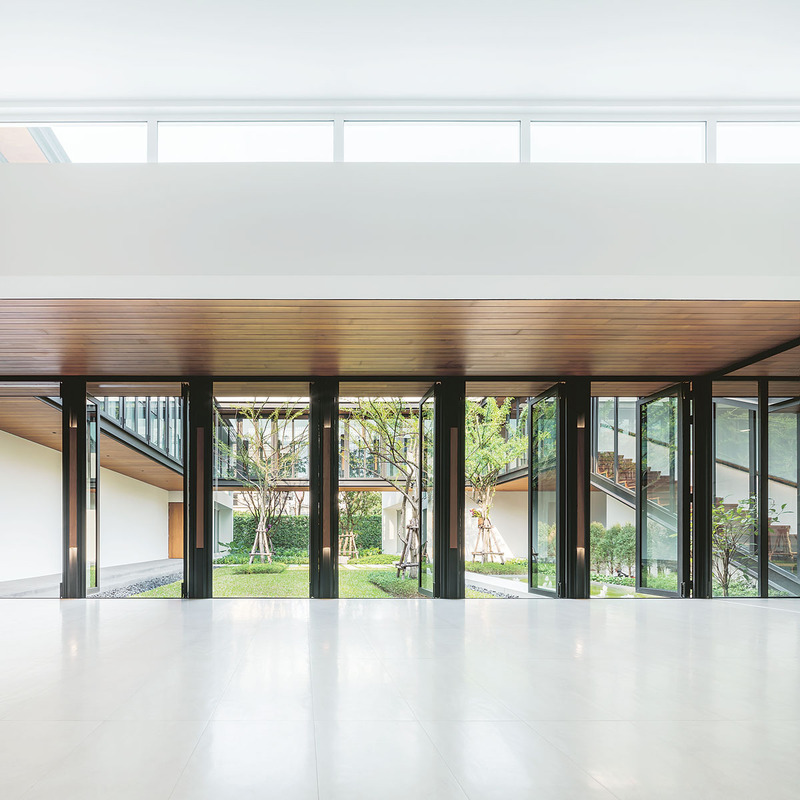 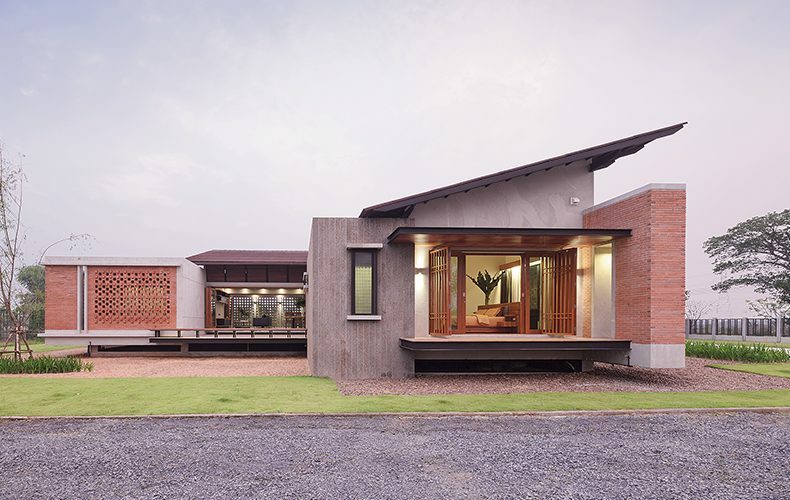 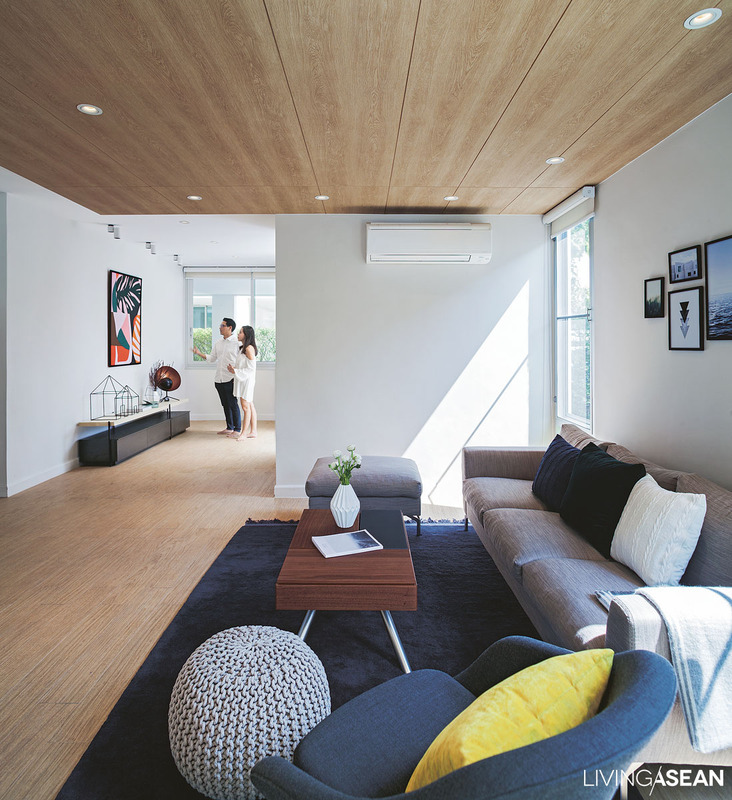 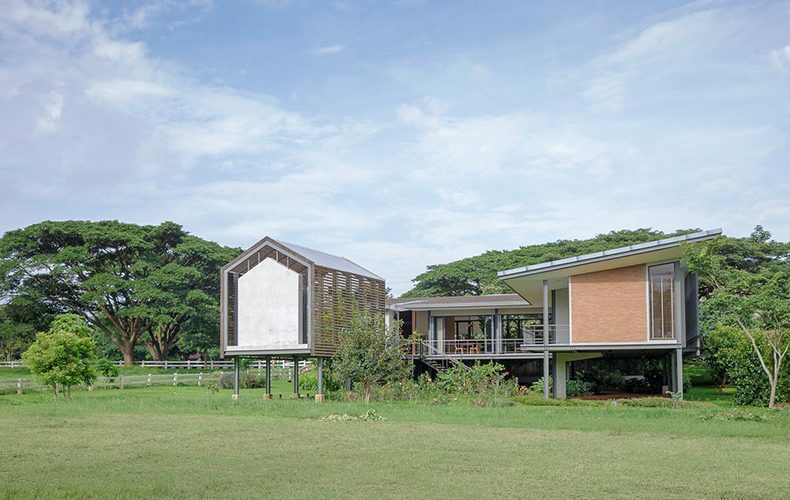 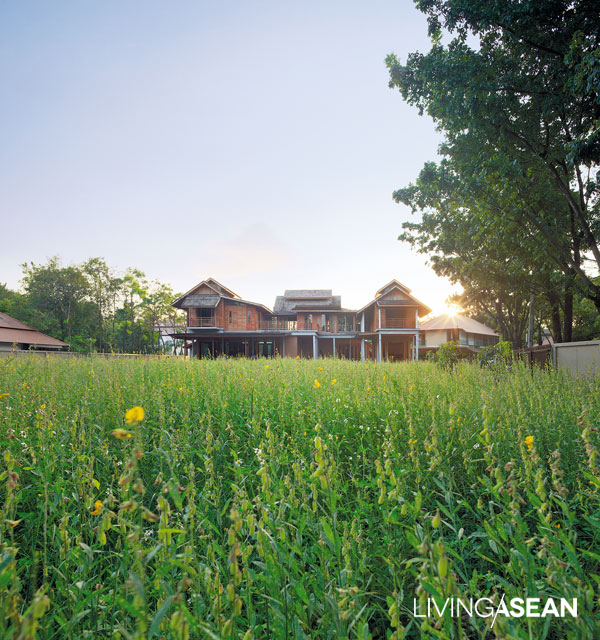 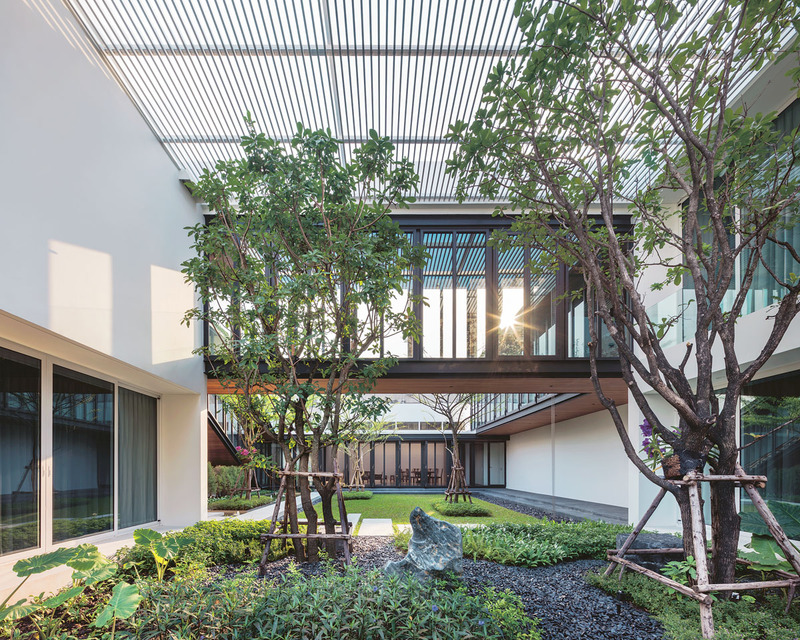 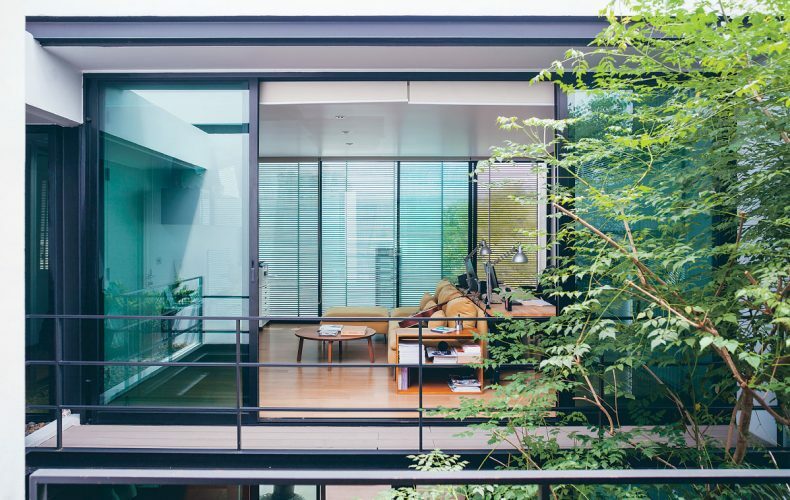 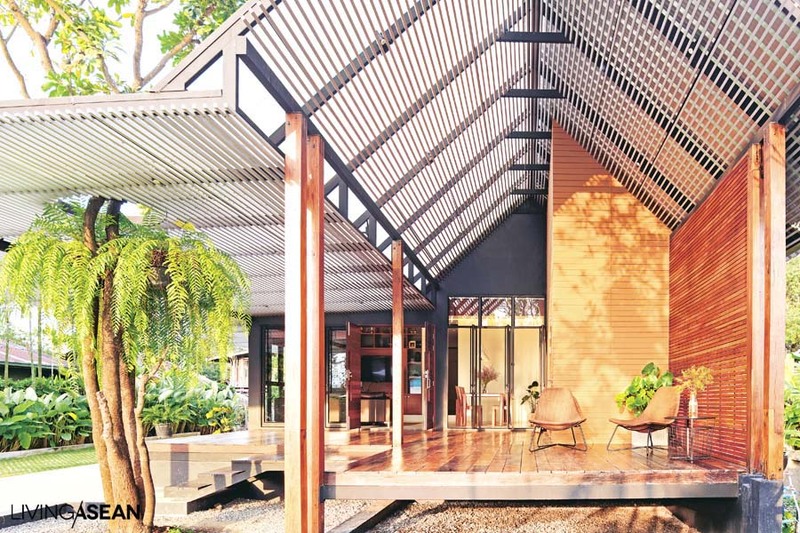 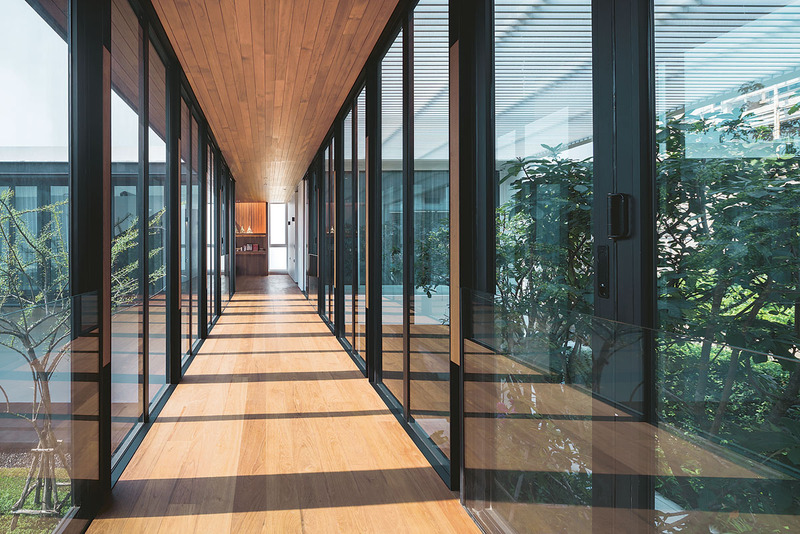 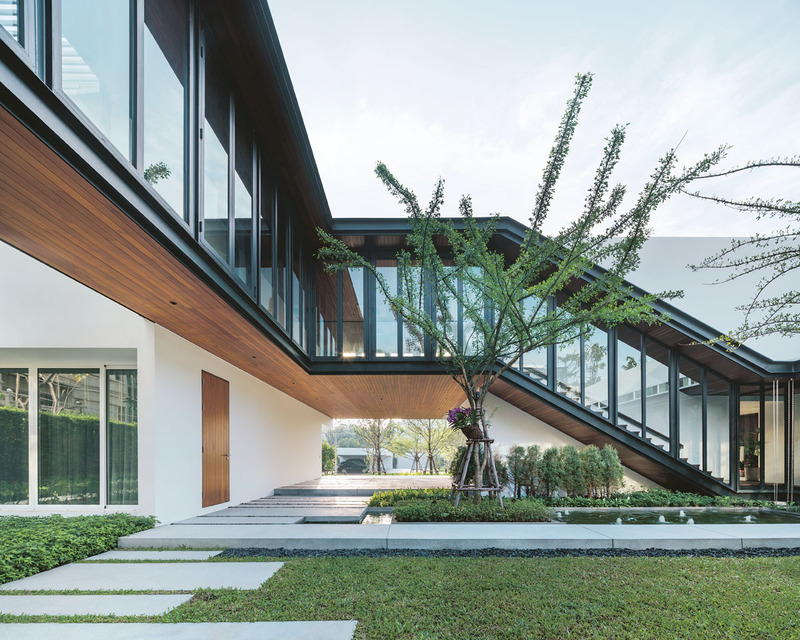 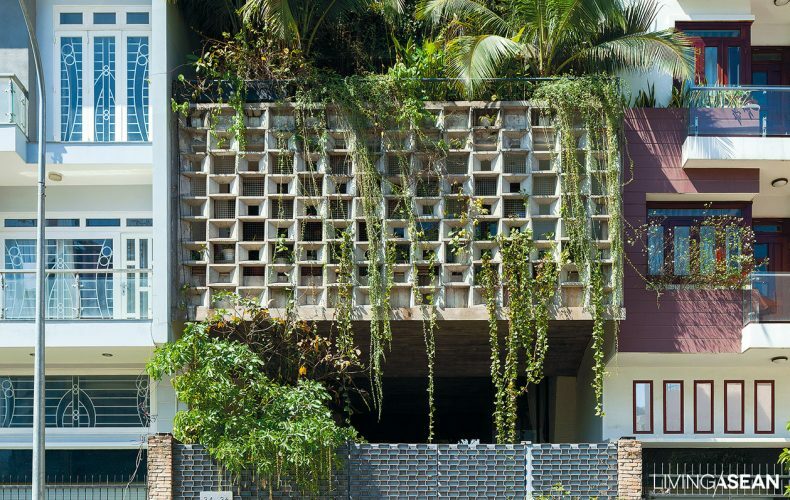 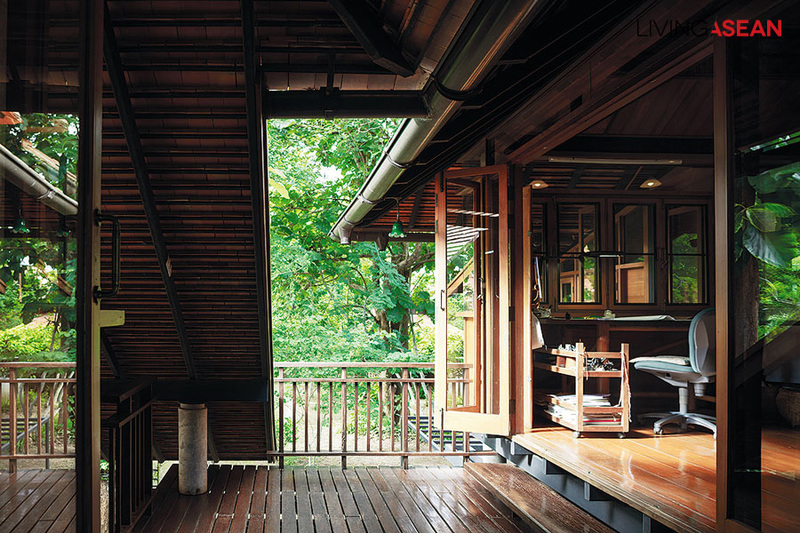 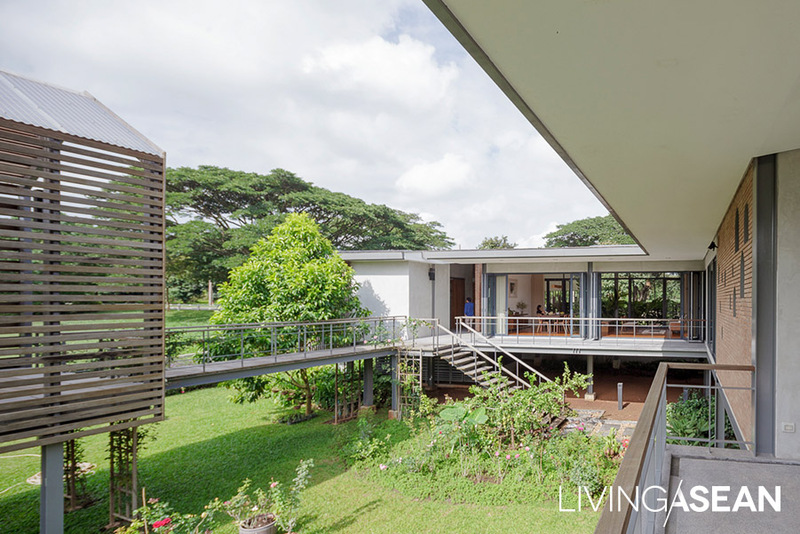 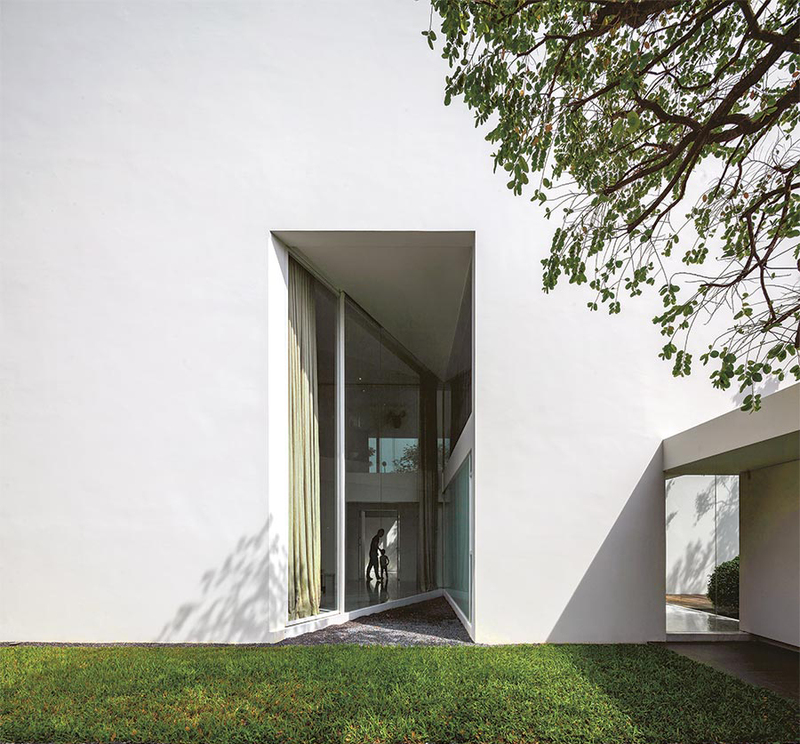 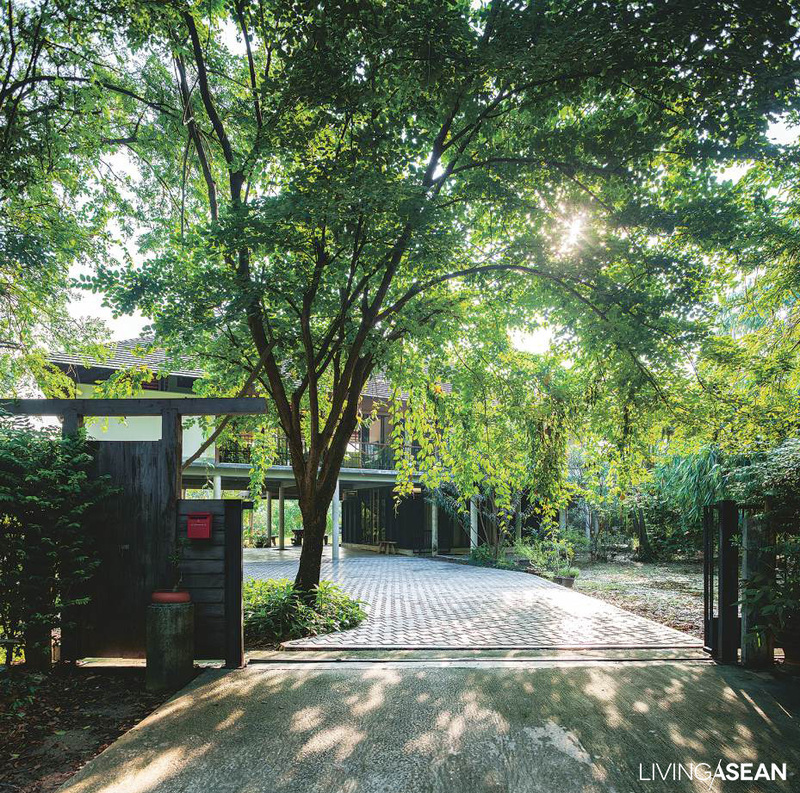 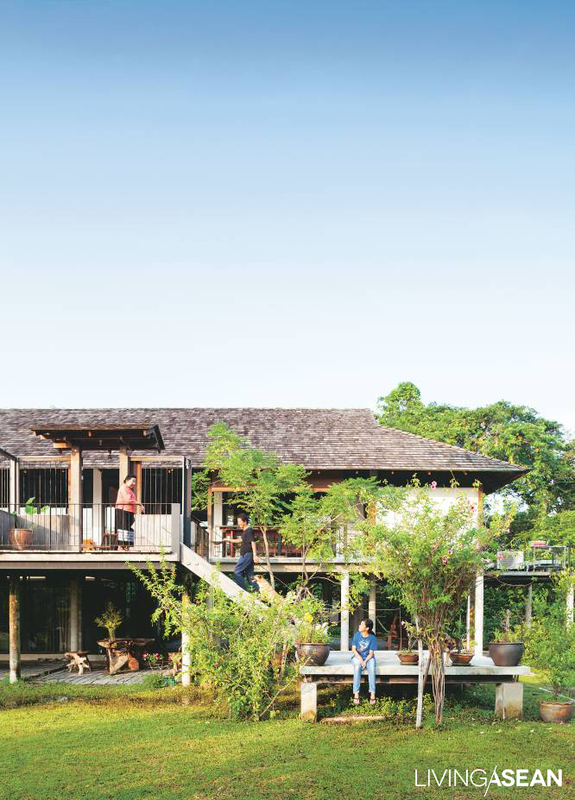 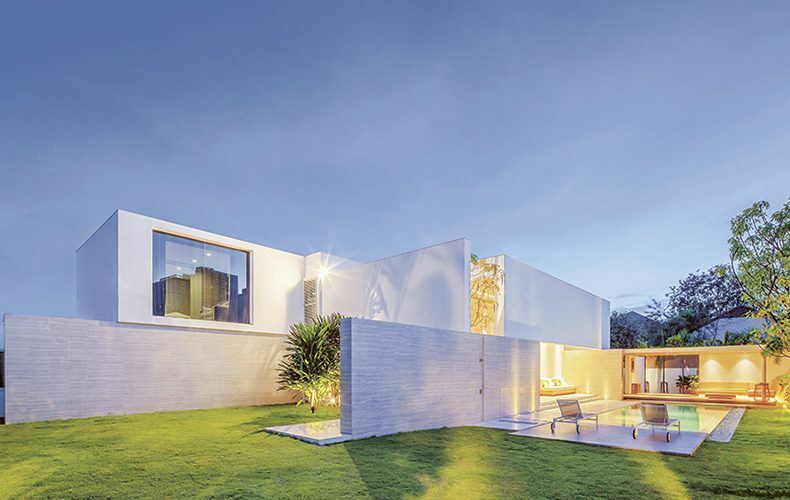 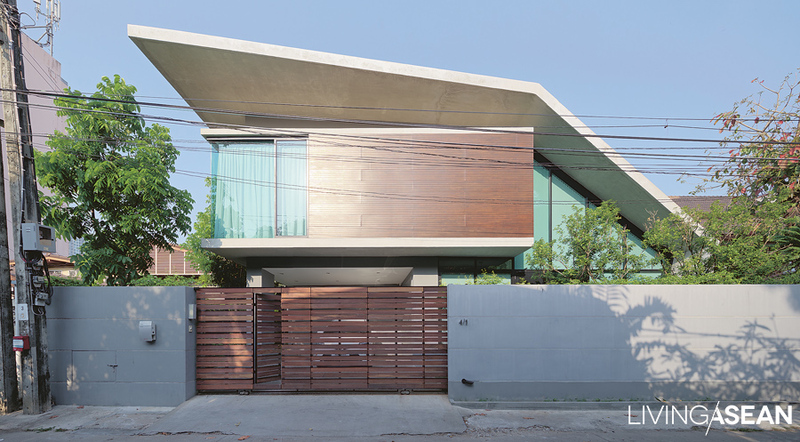 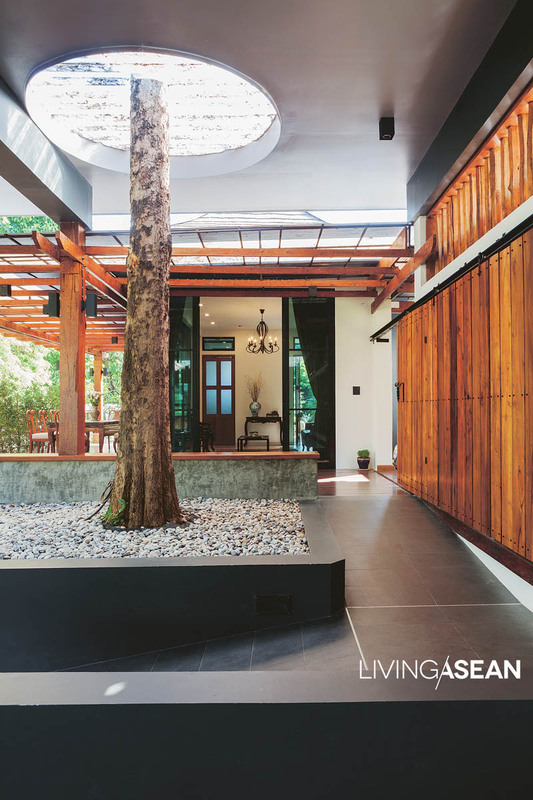 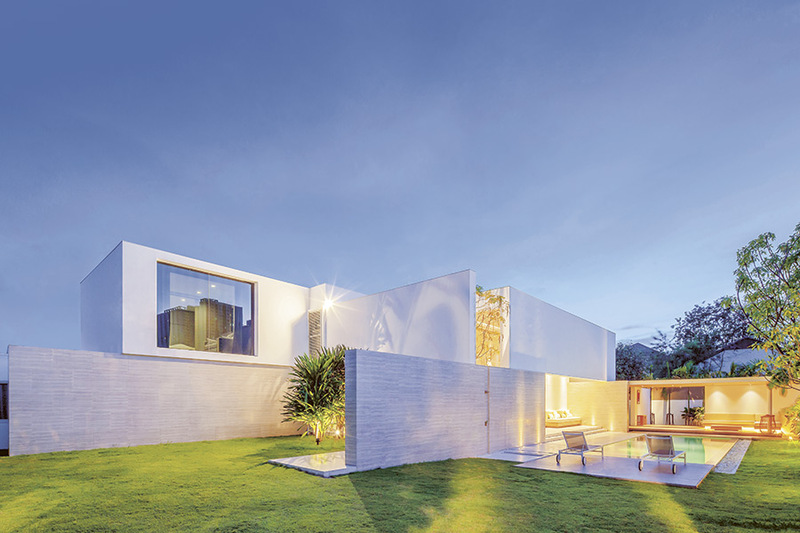 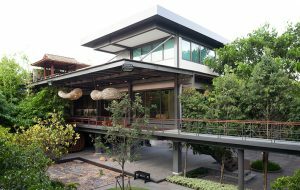 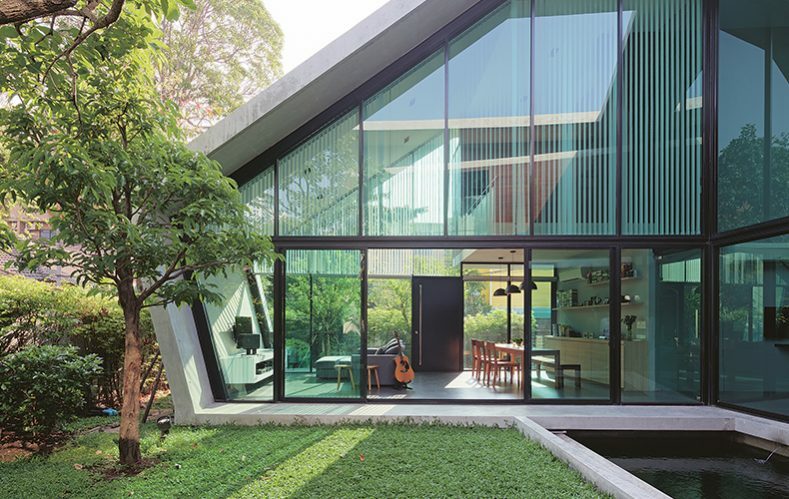 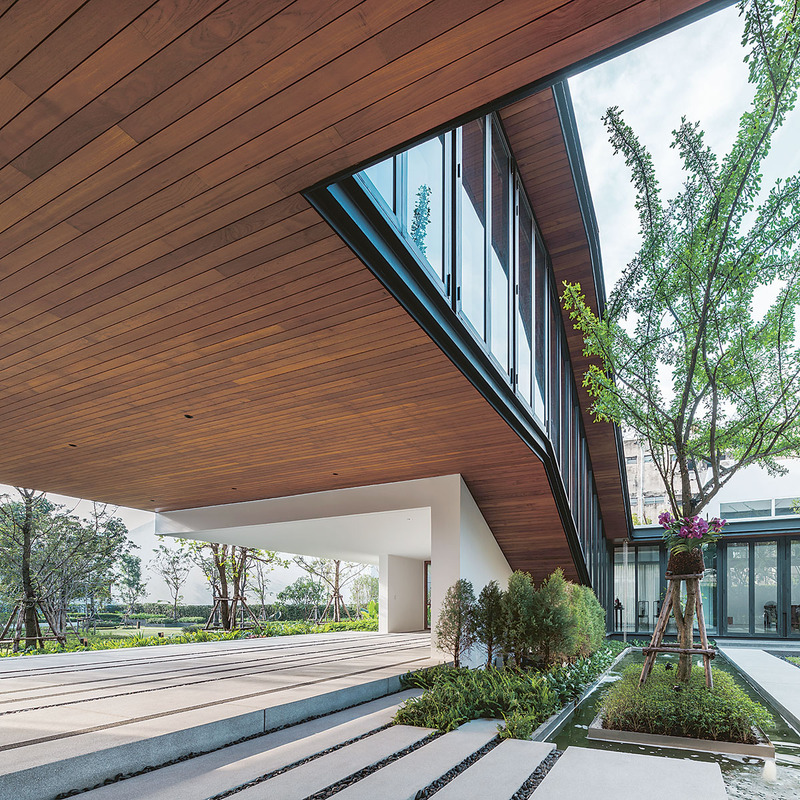 Living ASEAN presents 10 modern tropical homes for an inspiration as we celebrate another year ending and a new one beginning. 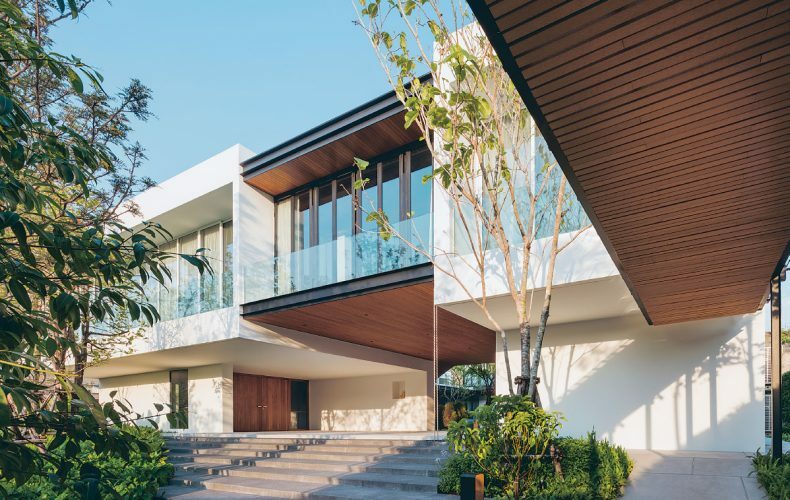 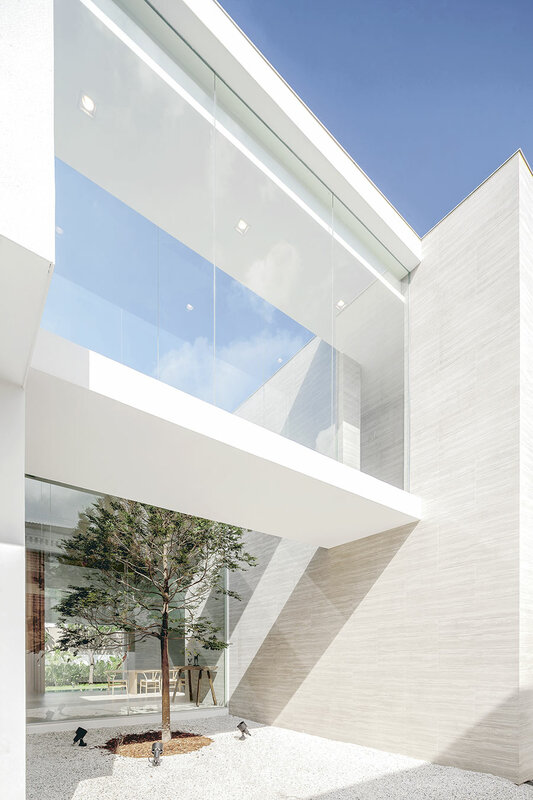 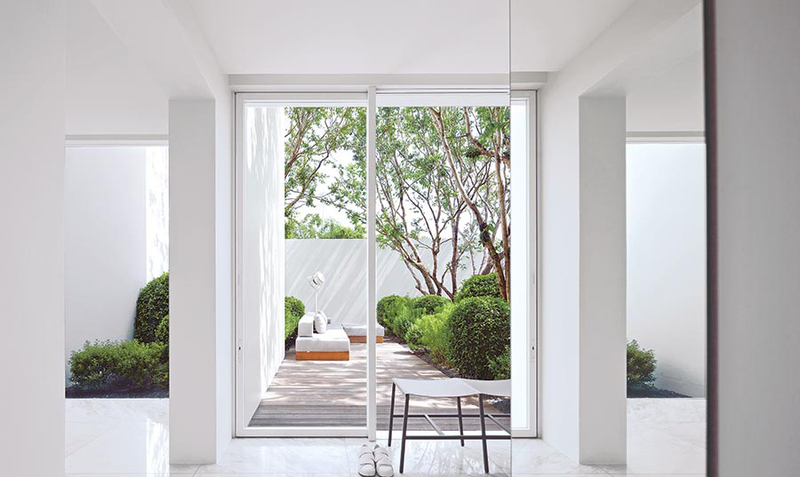 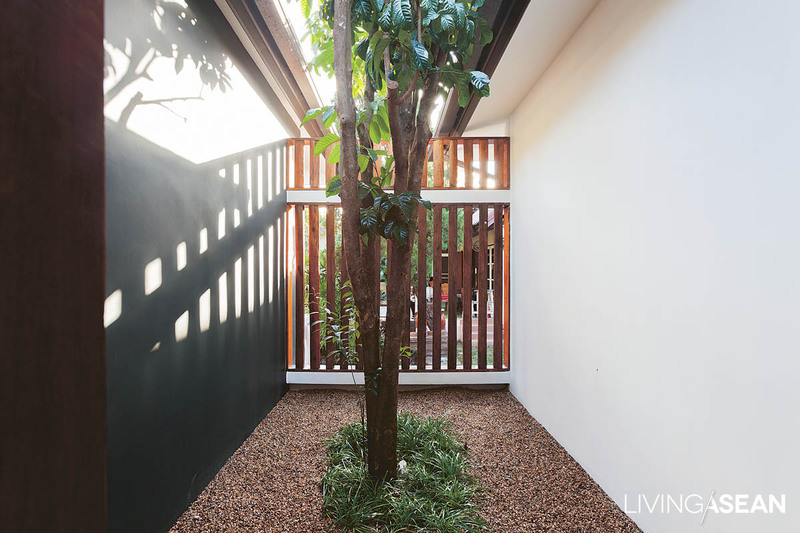 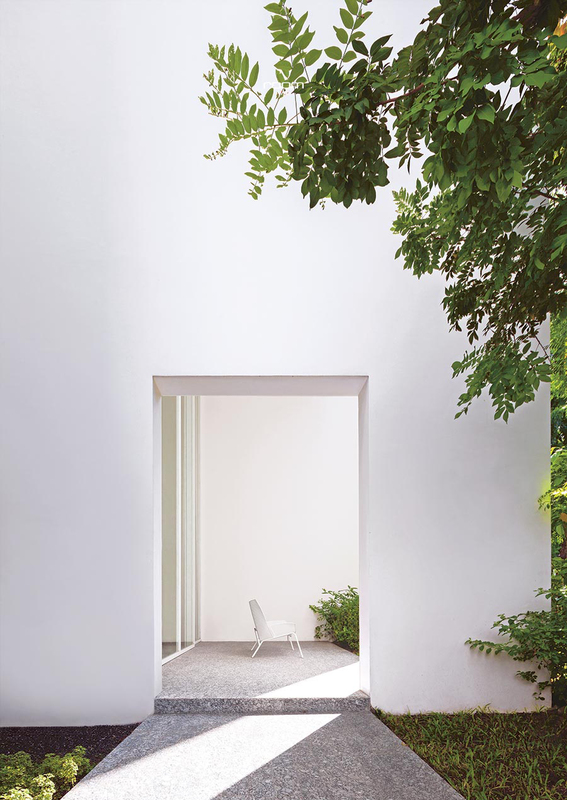 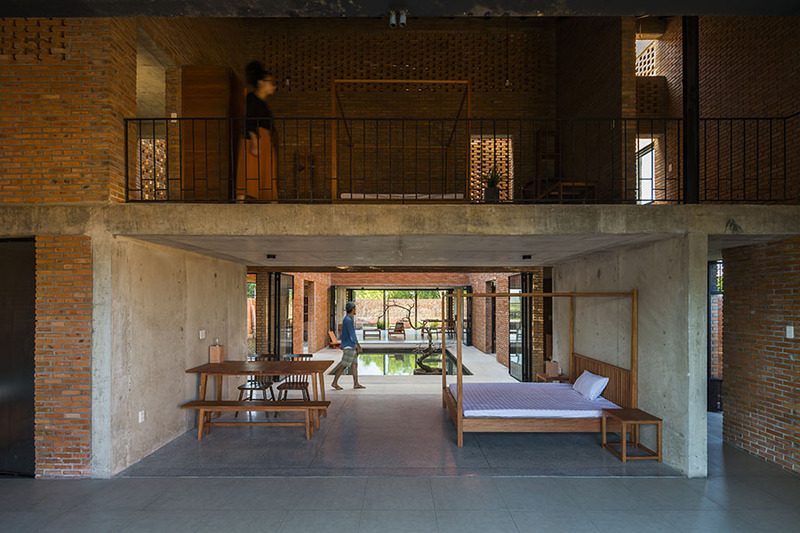 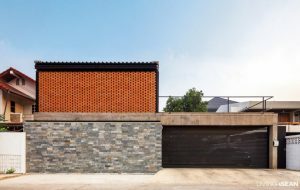 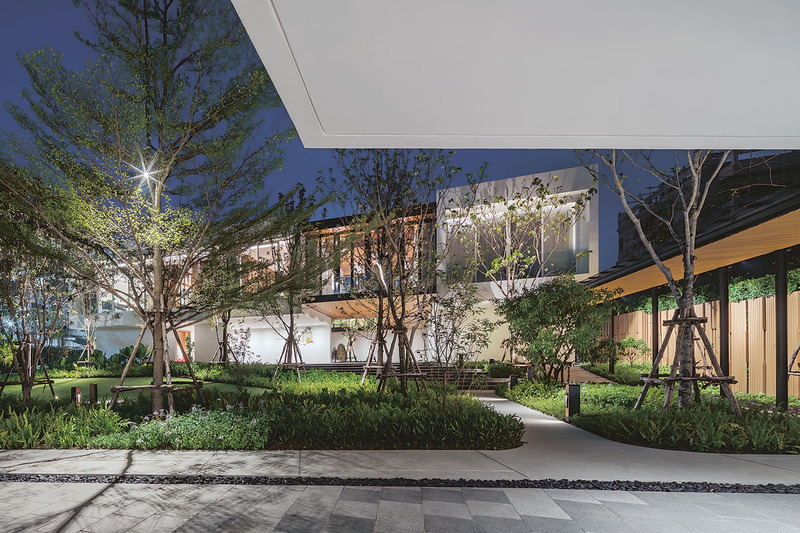 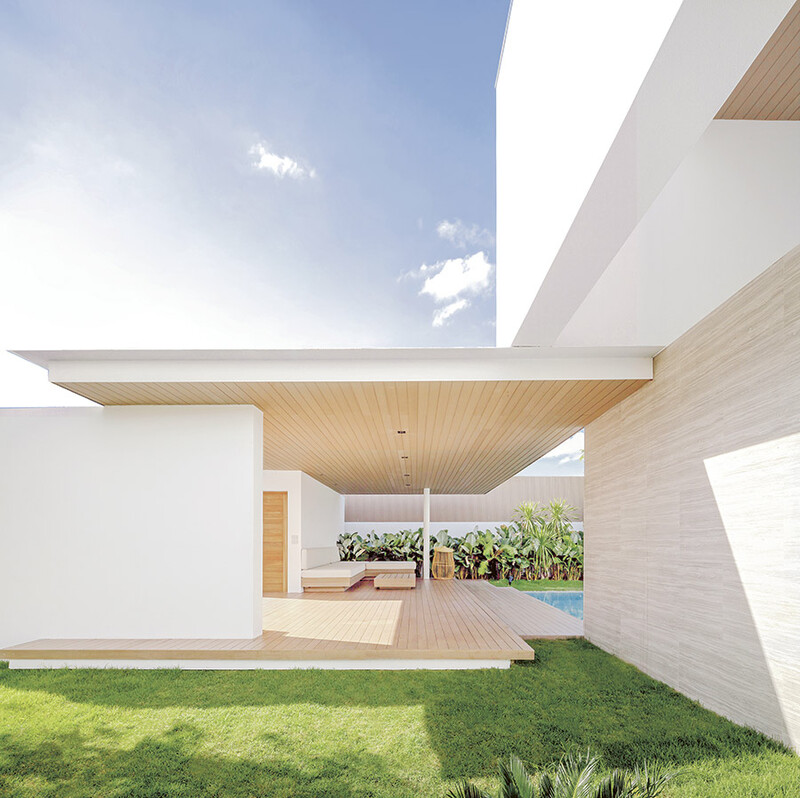 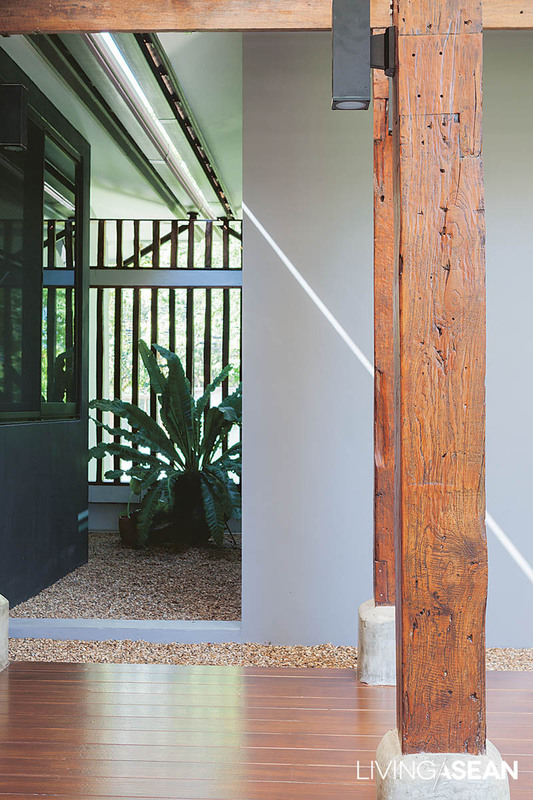 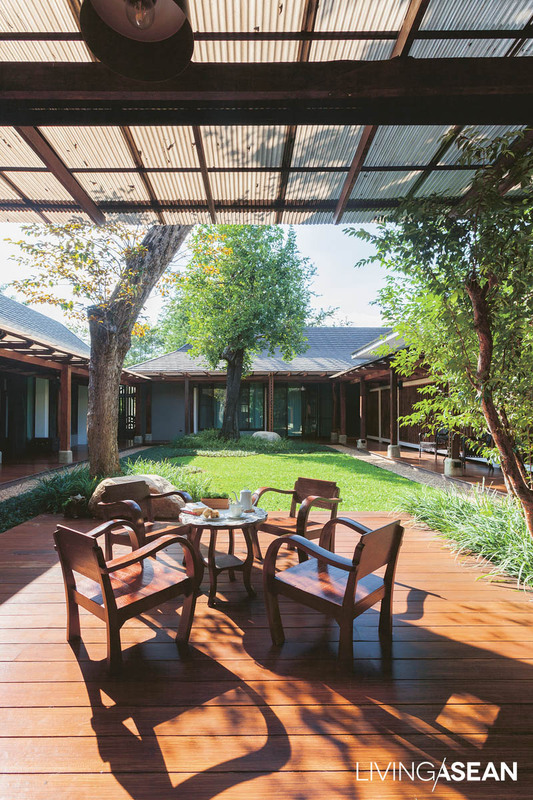 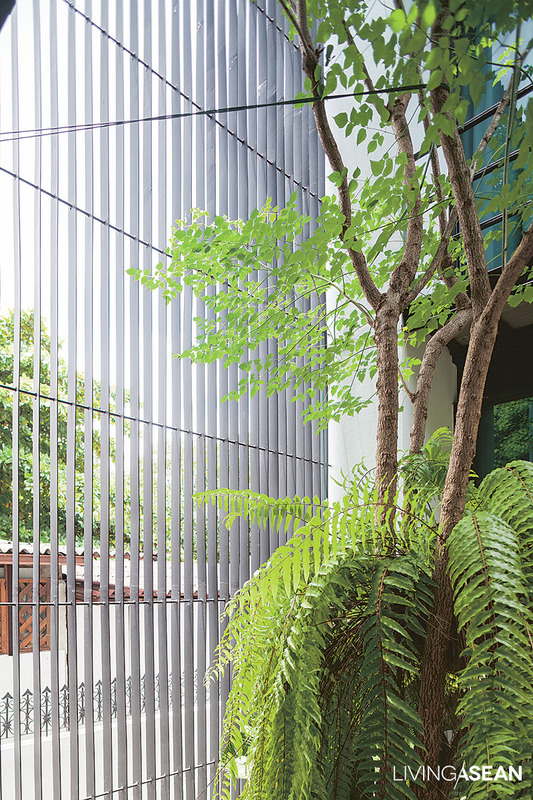 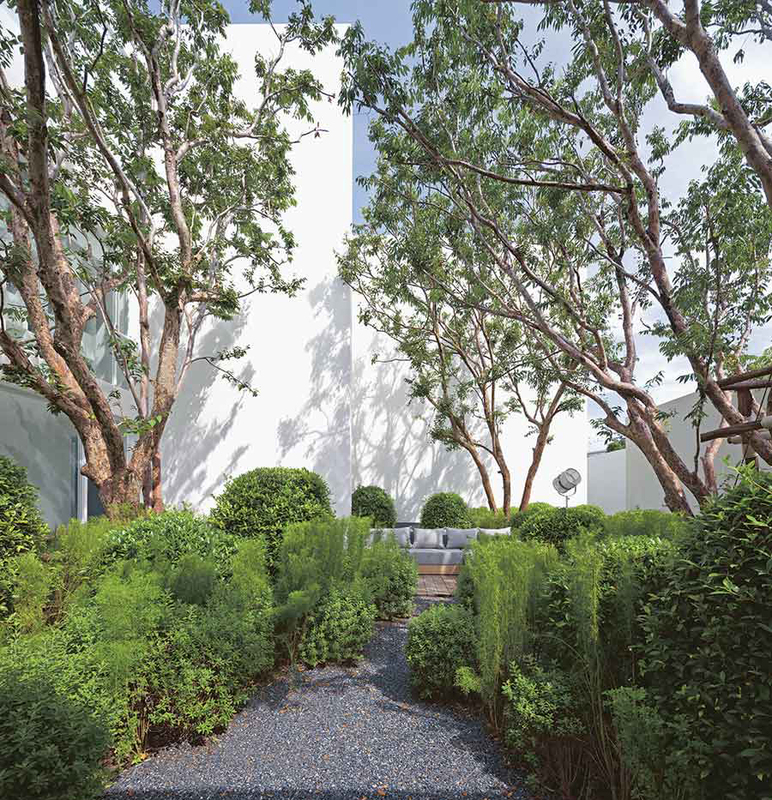 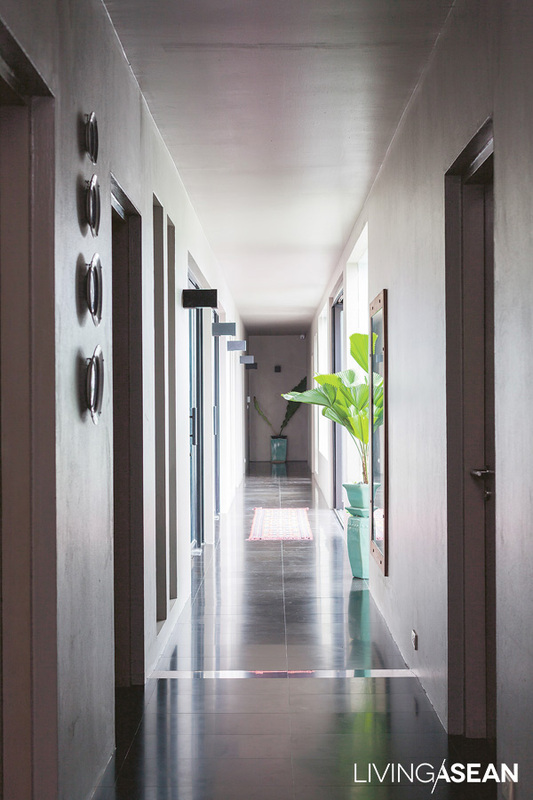 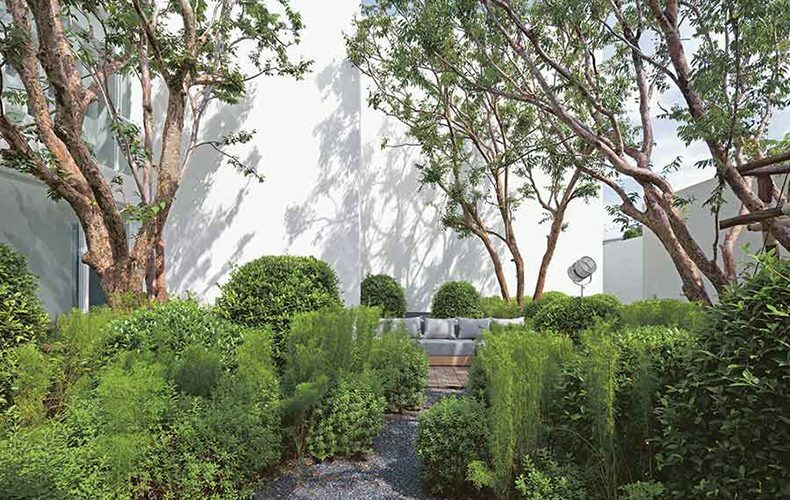 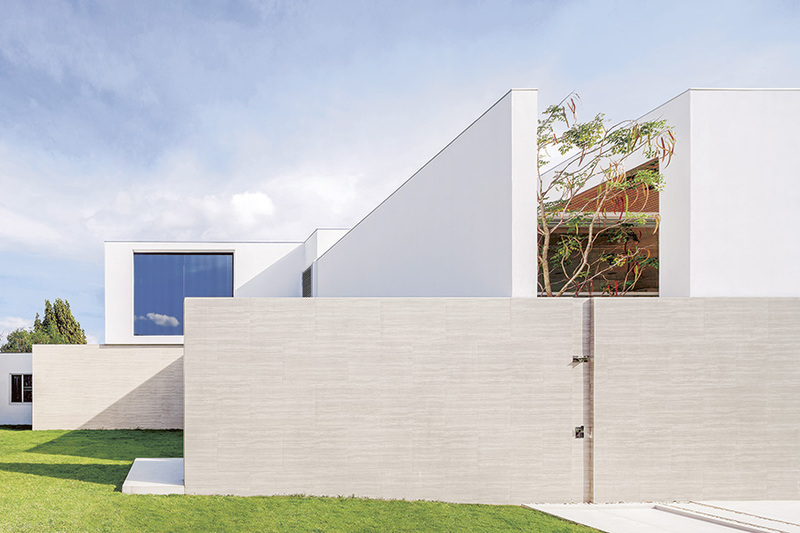 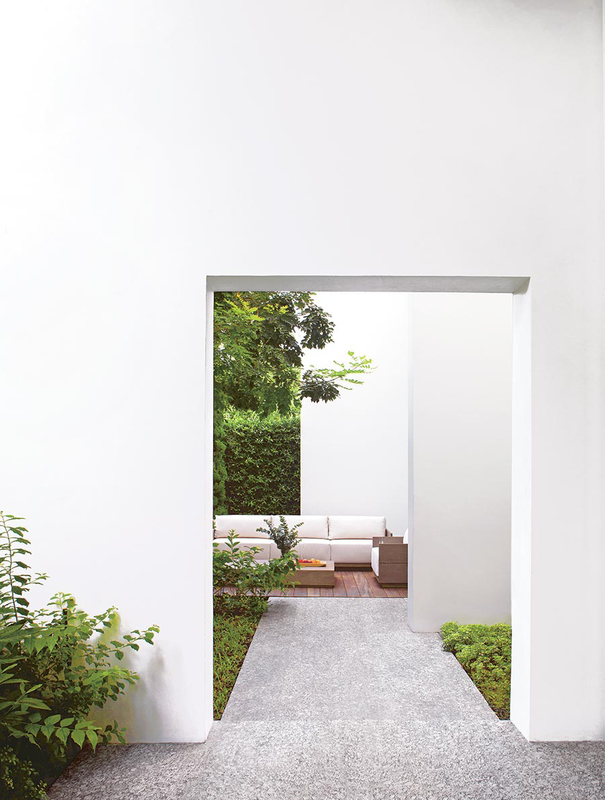 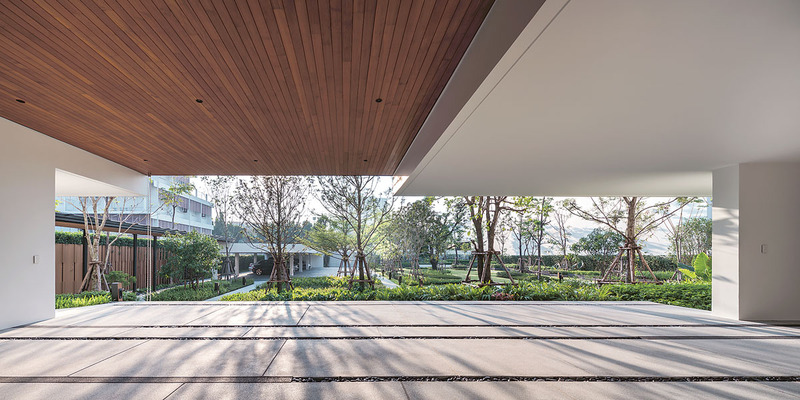 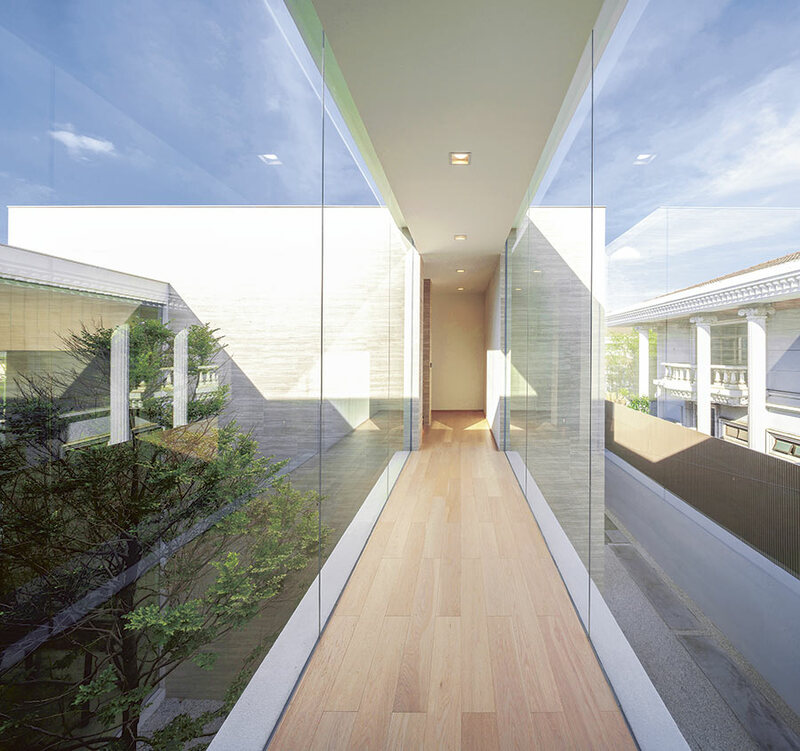 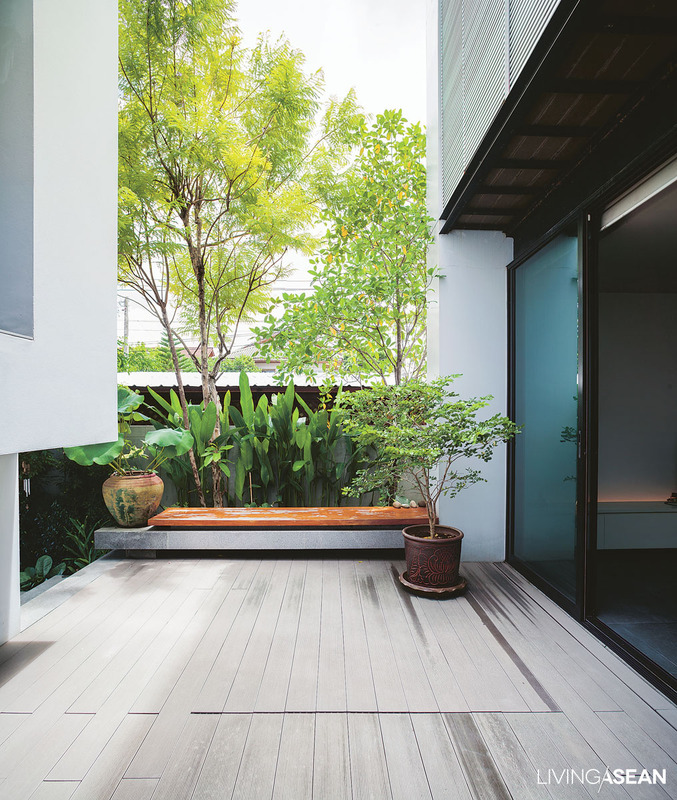 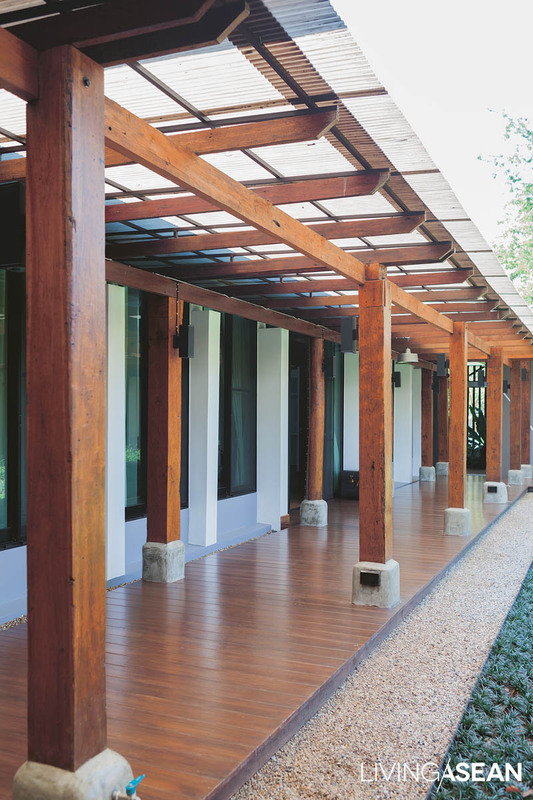 They focus on a beautiful blend of indoor and outdoor spaces that translates into stylish patios, cool verandas and courtyard tropical gardens. 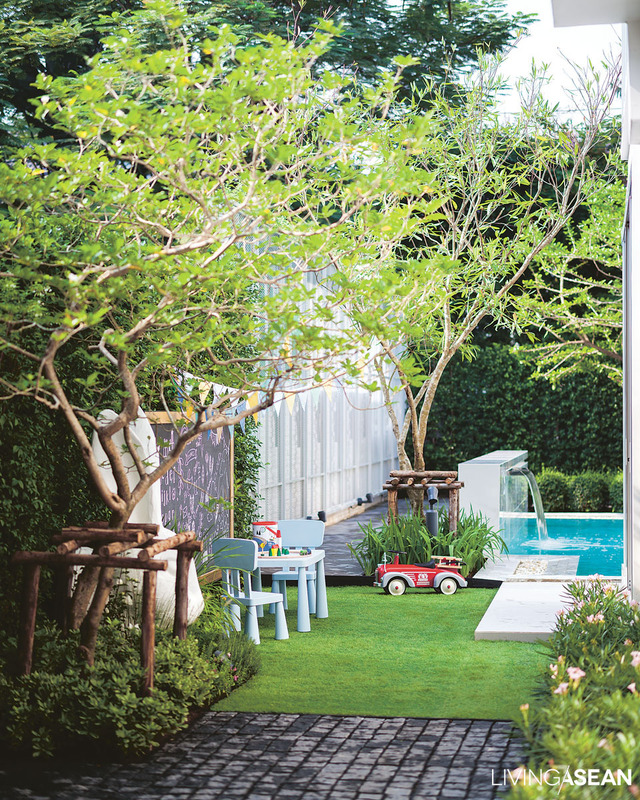 Plus, plenty of ideas to make your yard lush!